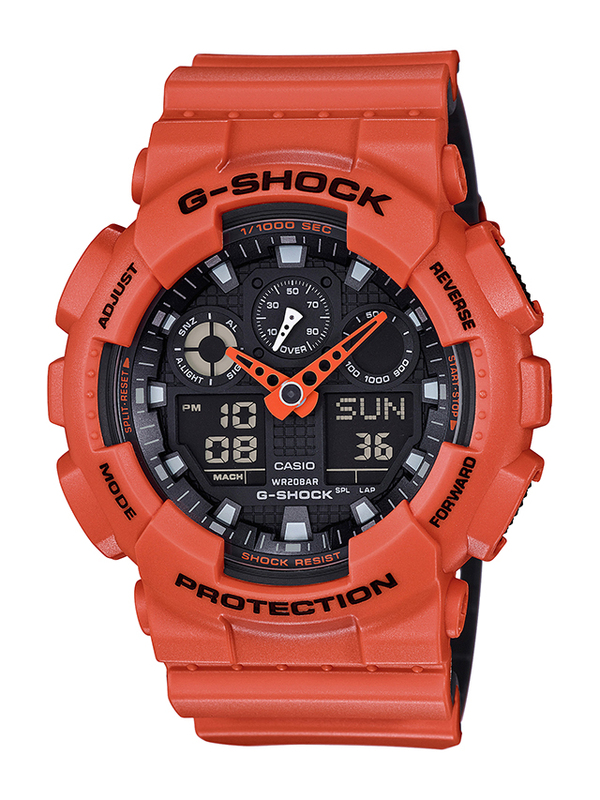 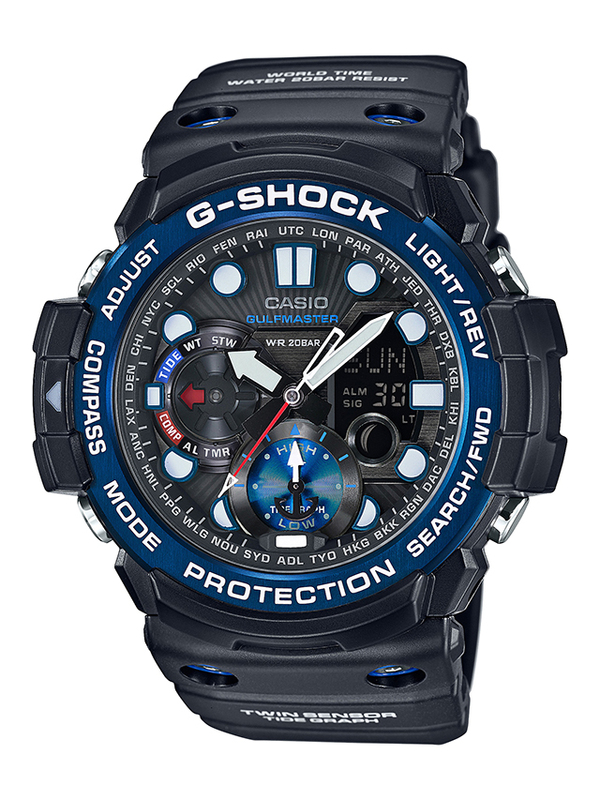 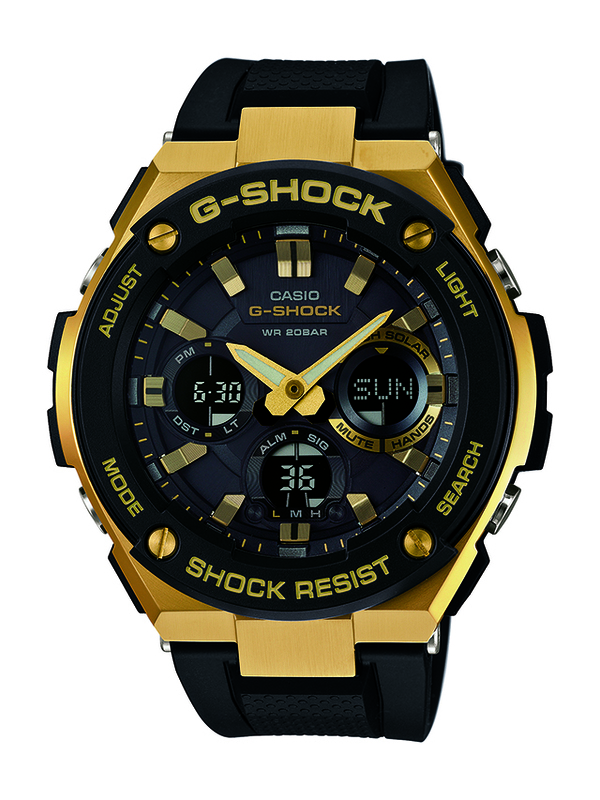 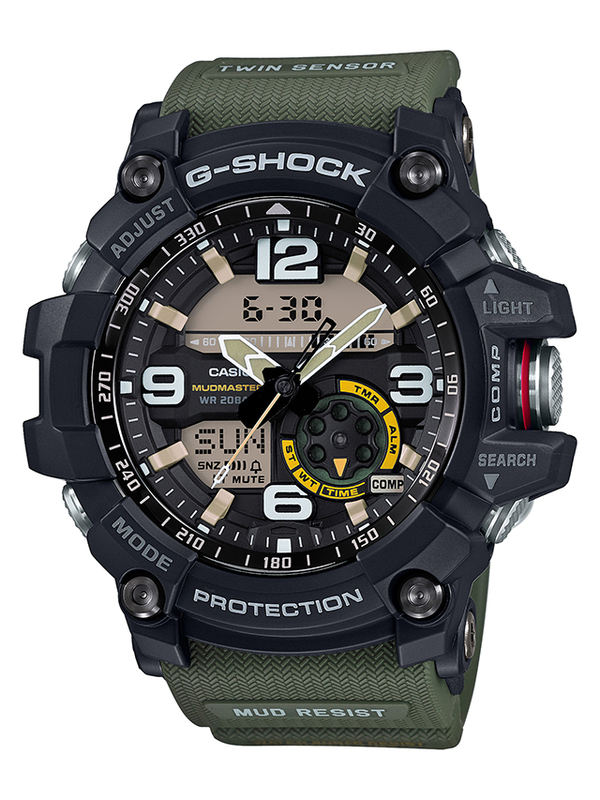 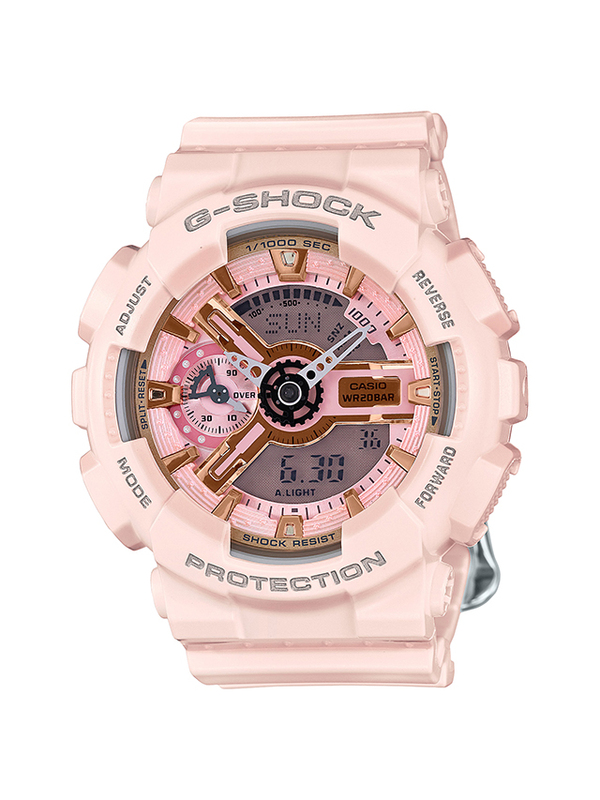 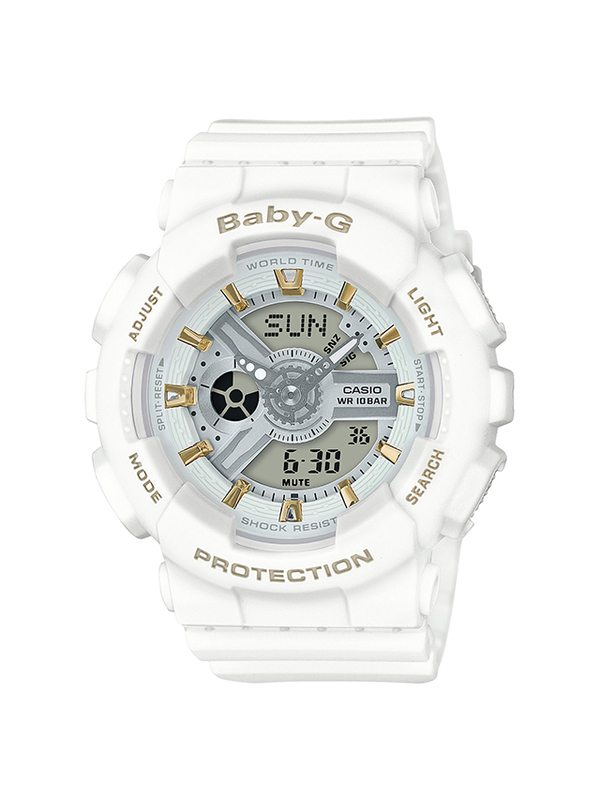 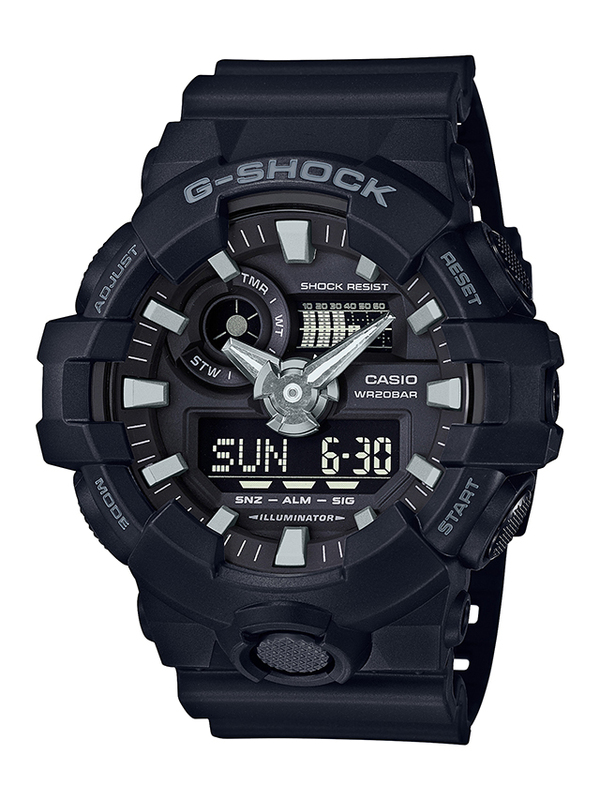 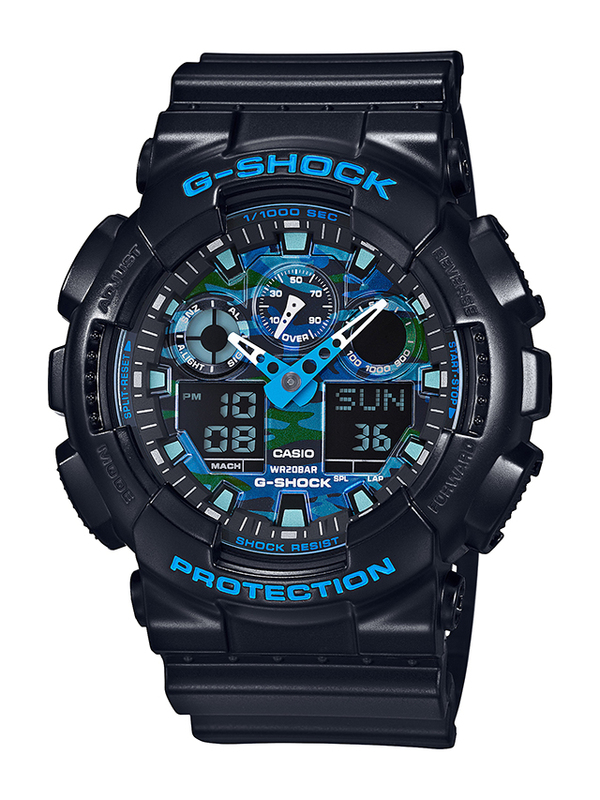 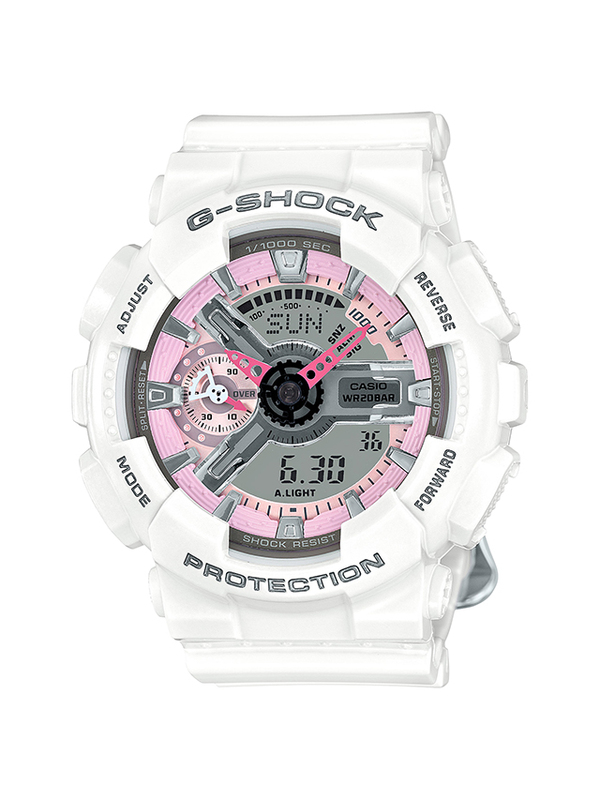 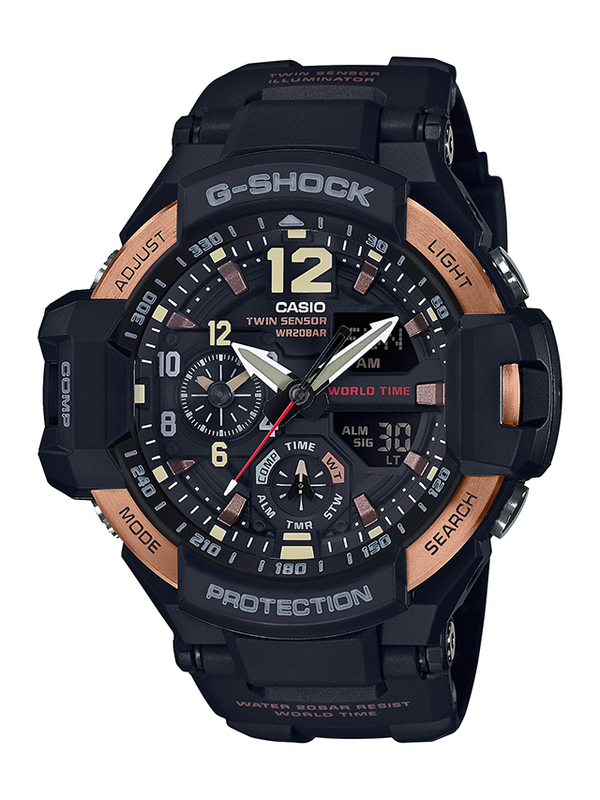 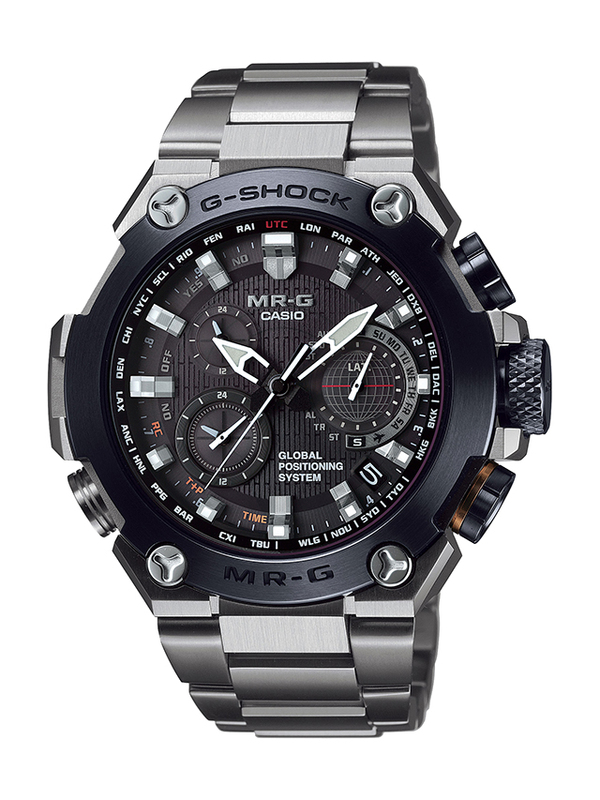 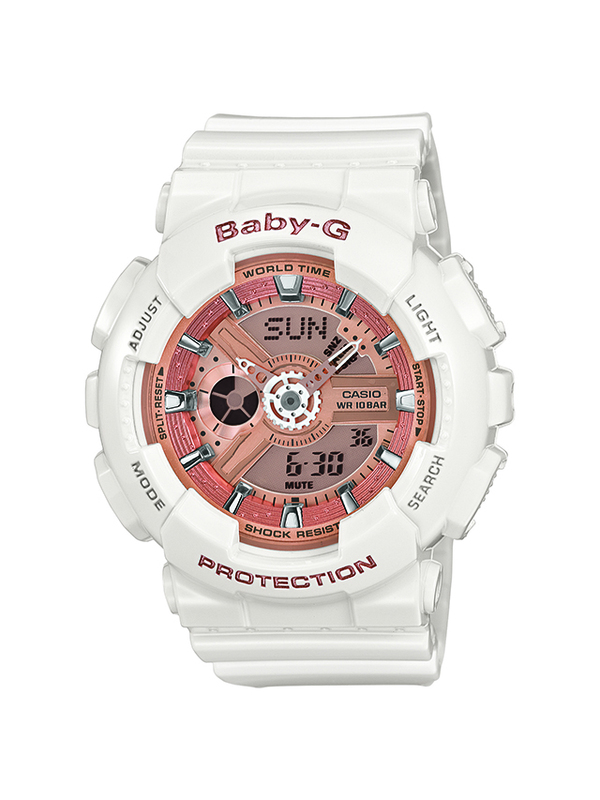 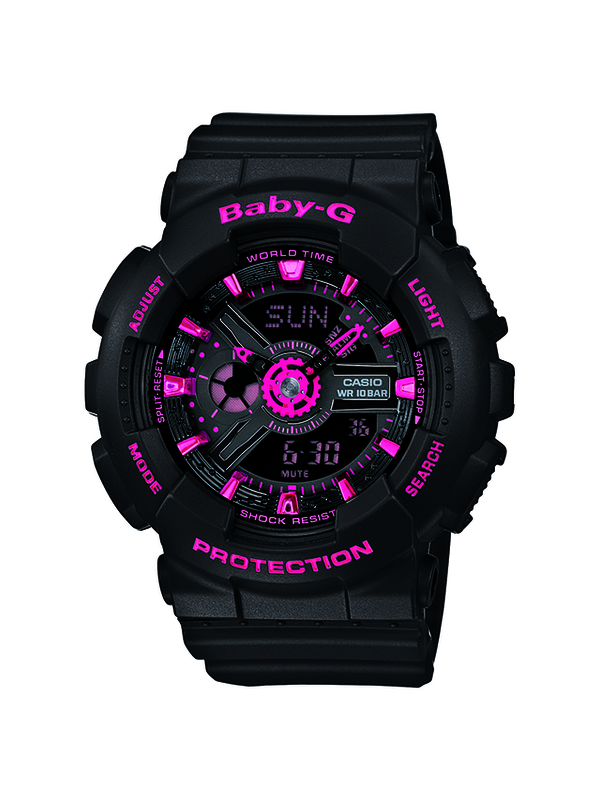 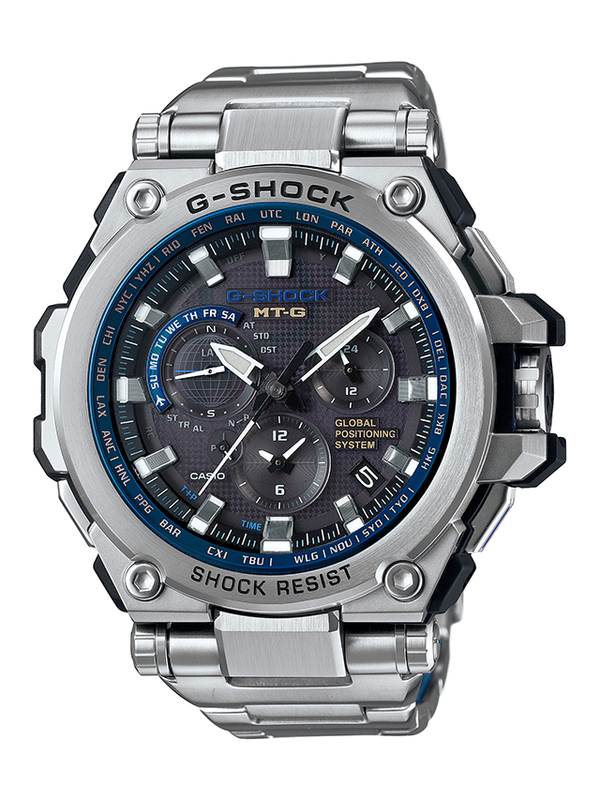 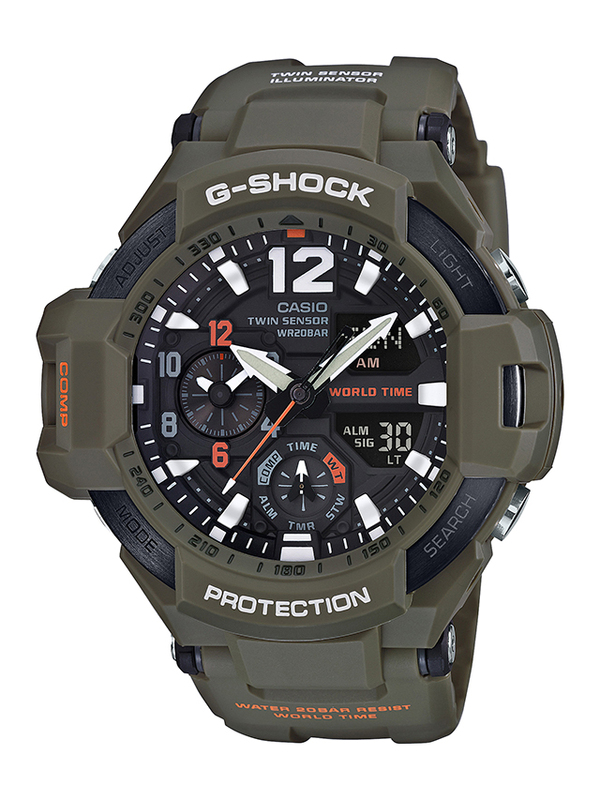 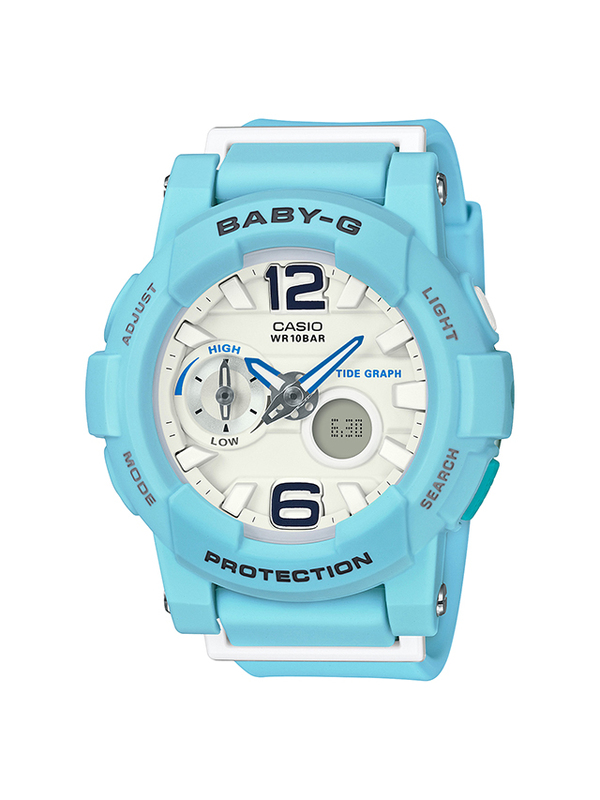 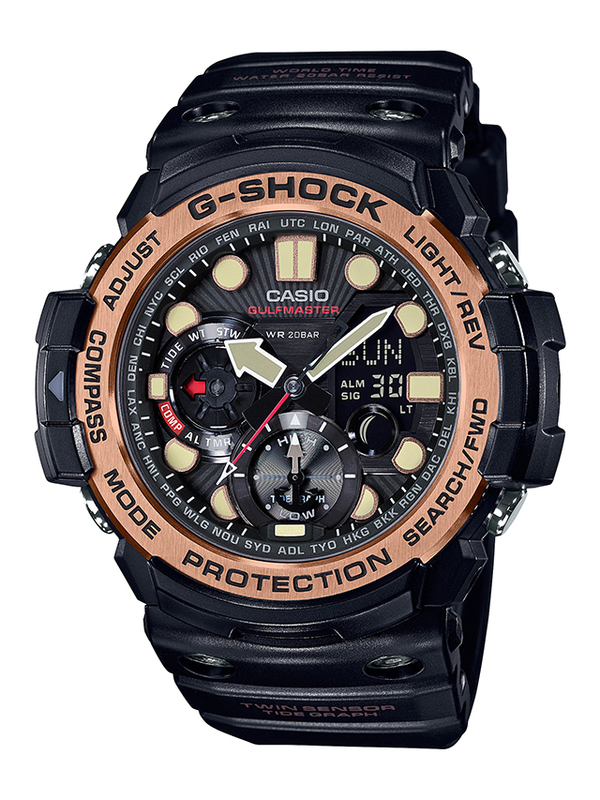 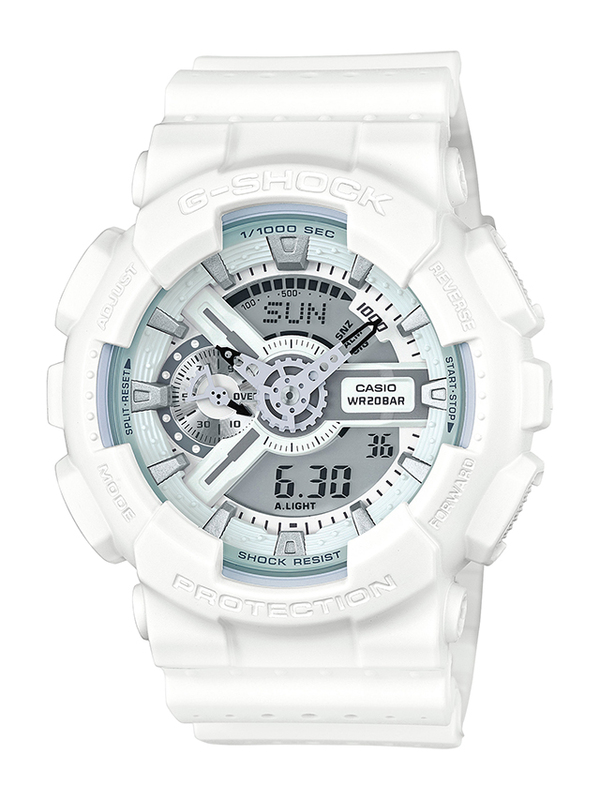 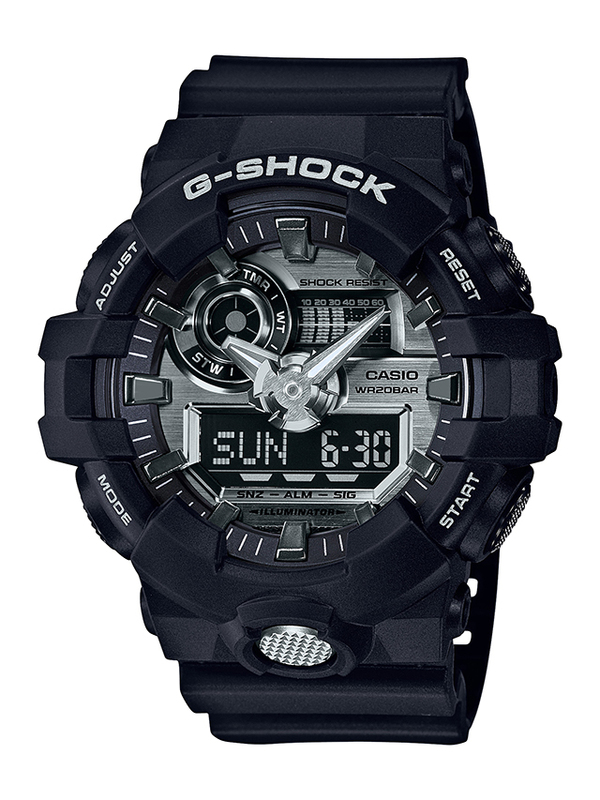 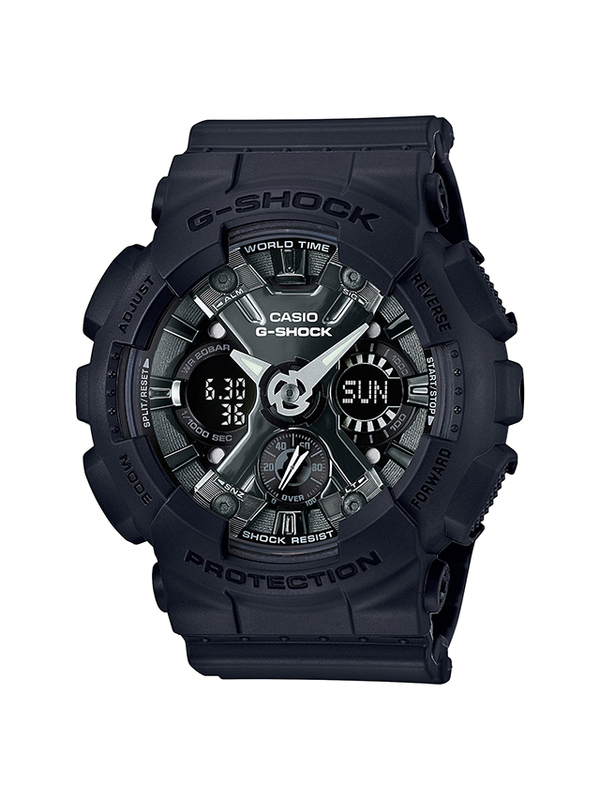 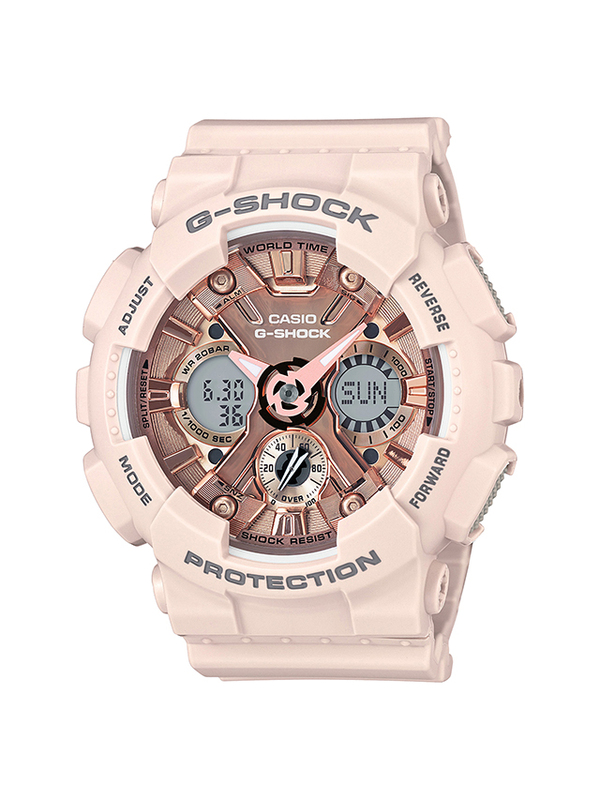 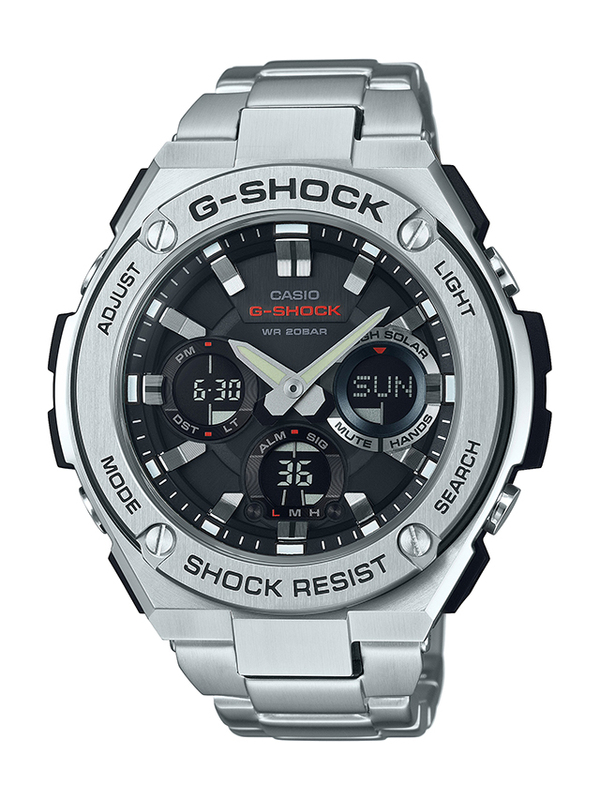 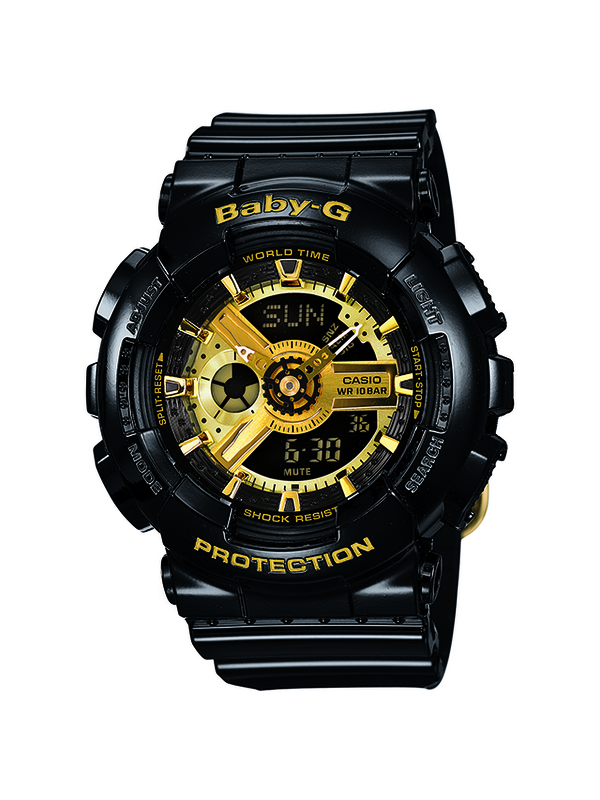 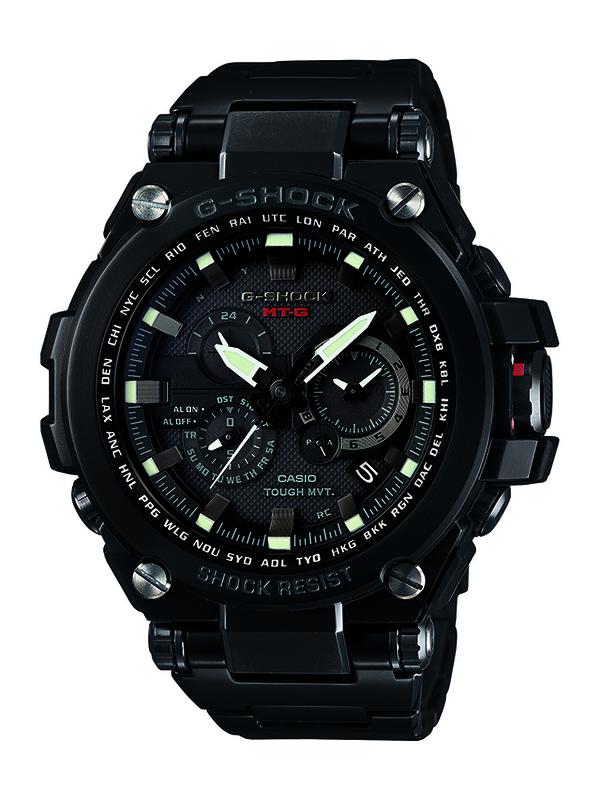 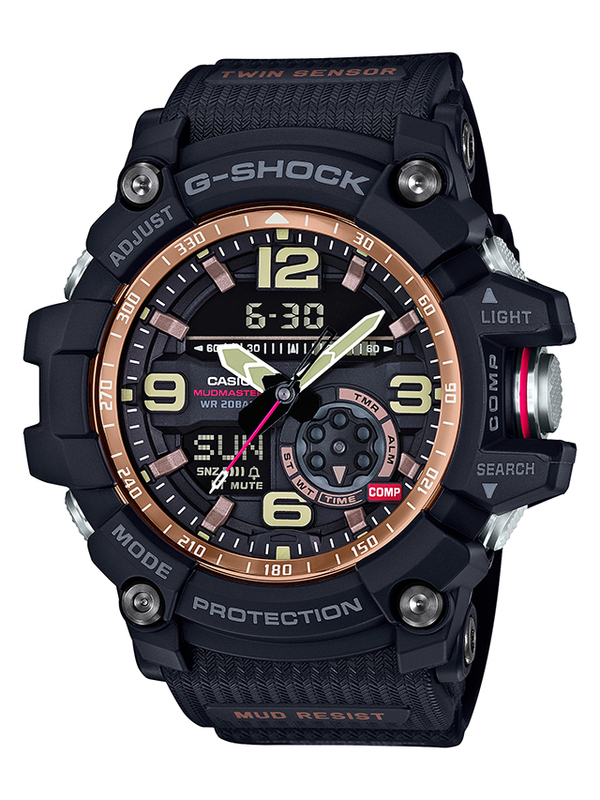 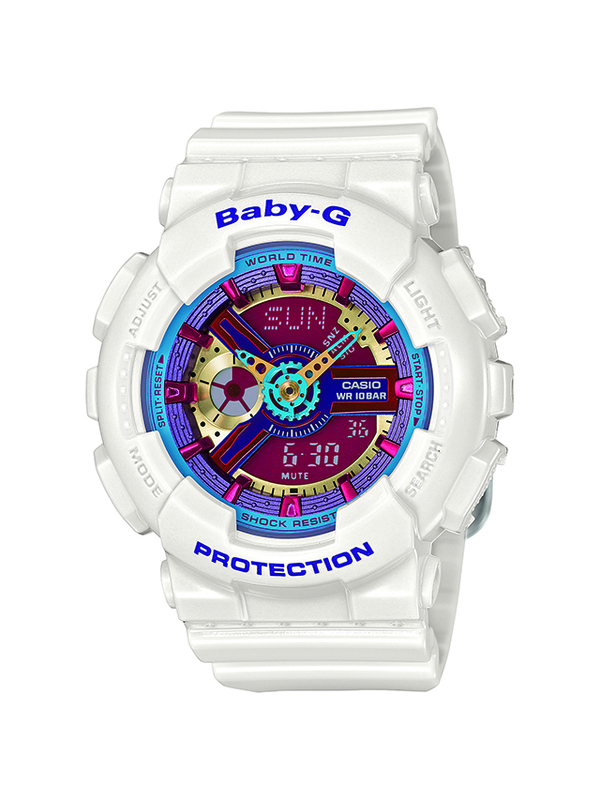 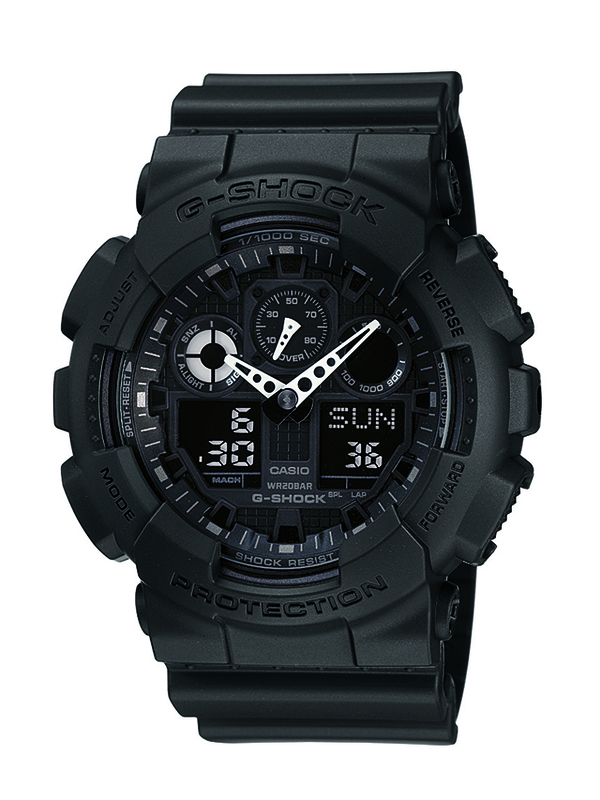 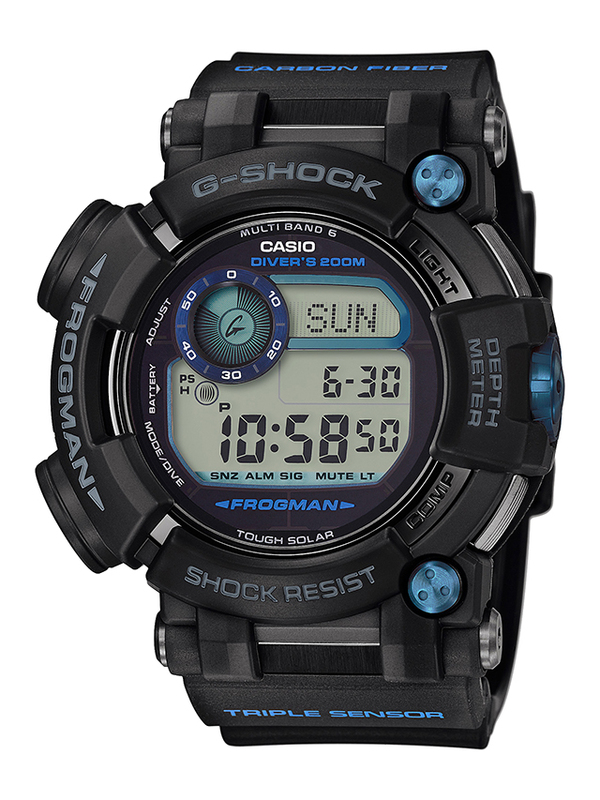 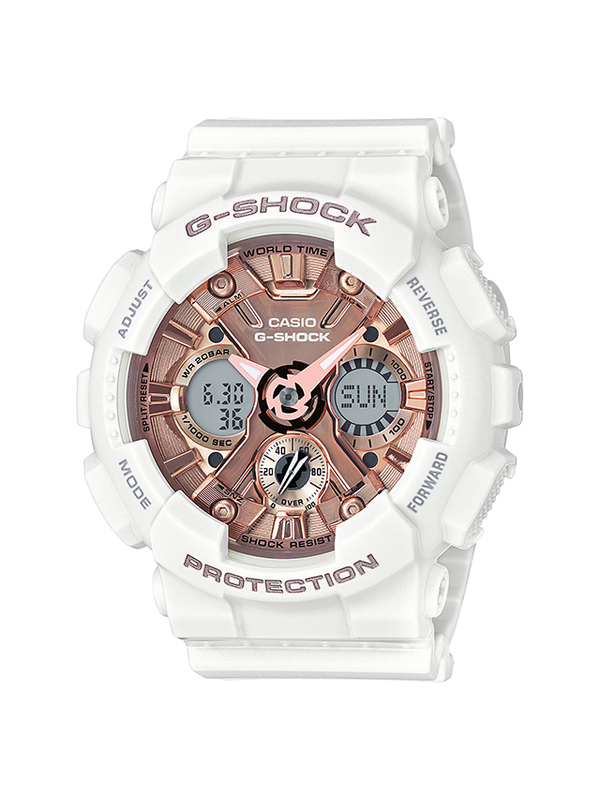 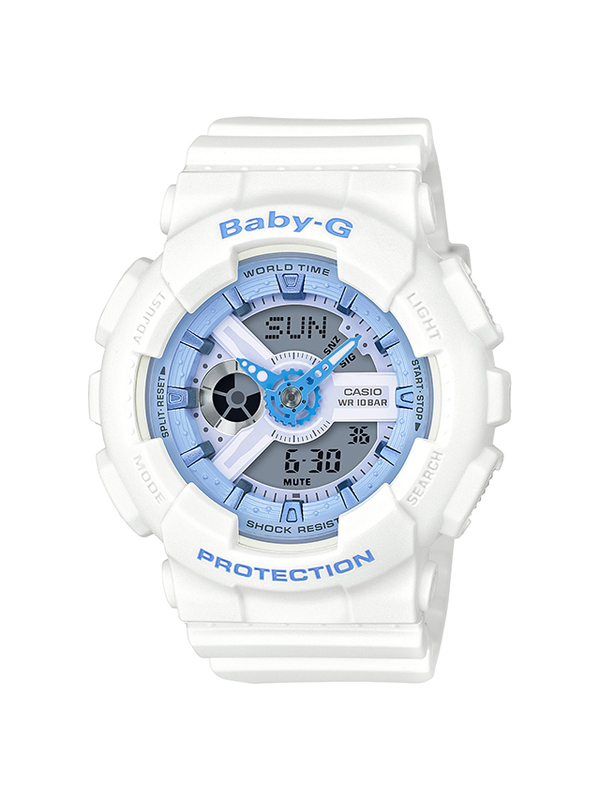 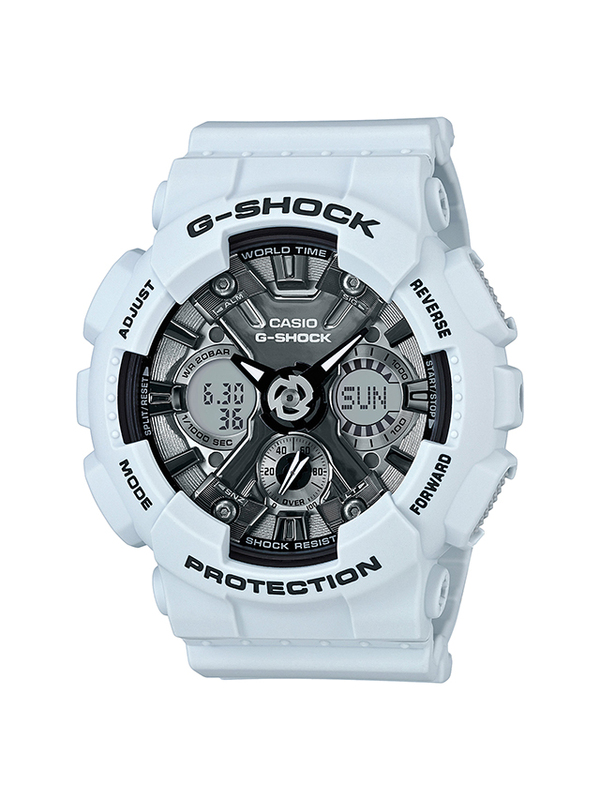 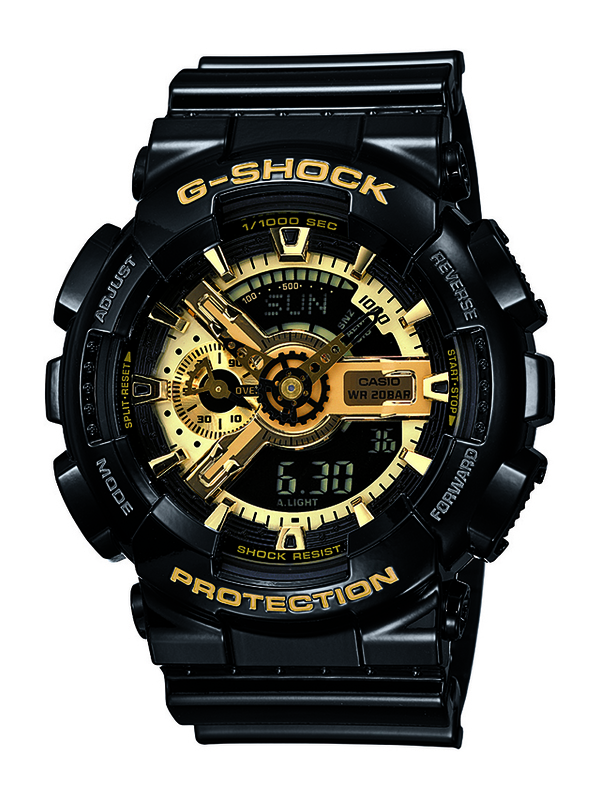 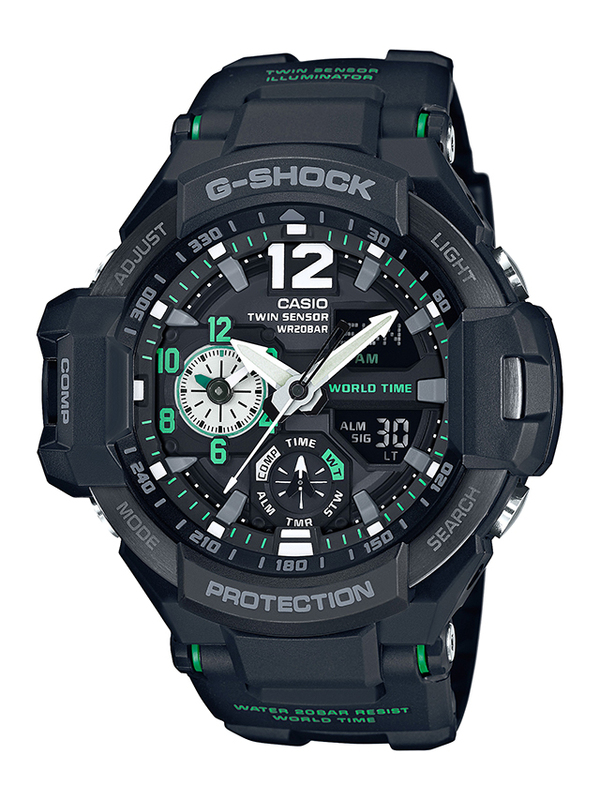 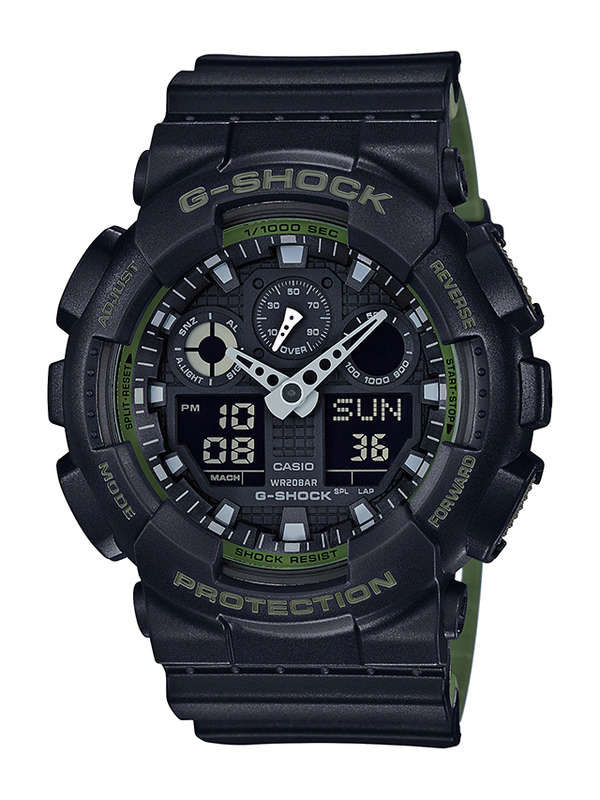 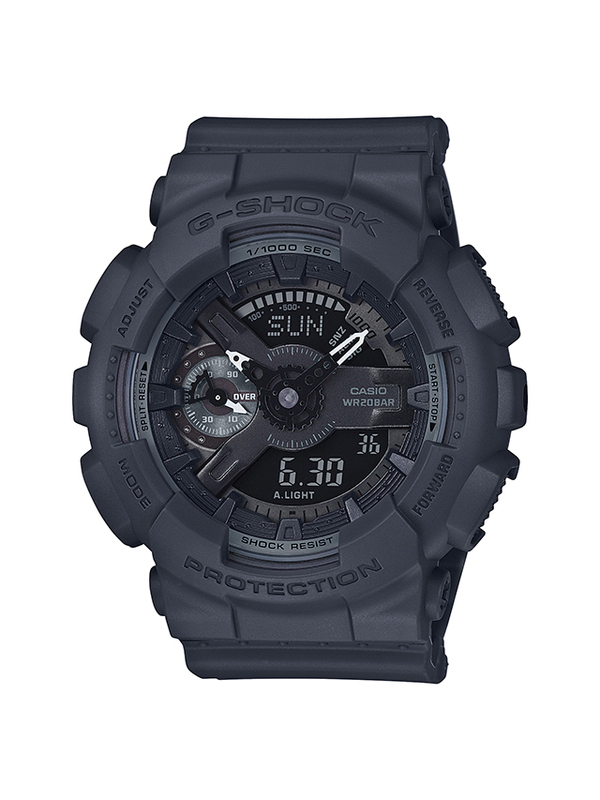 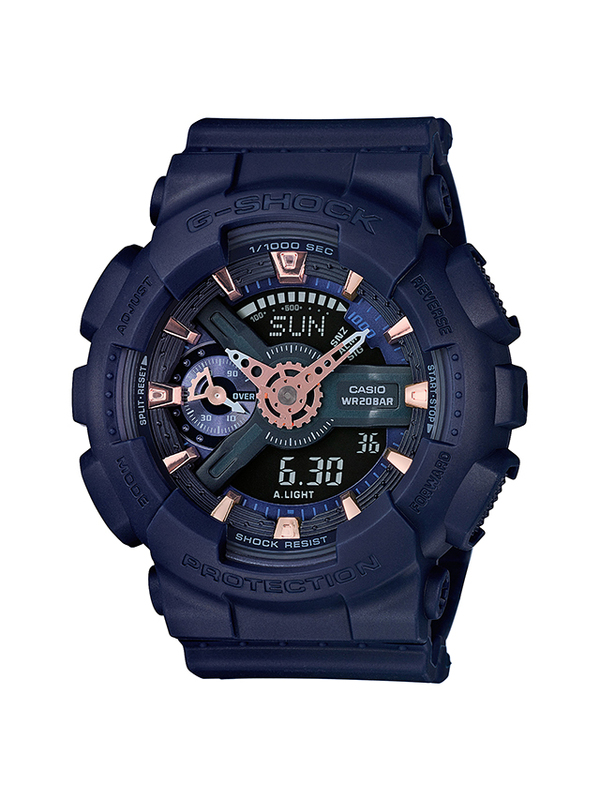 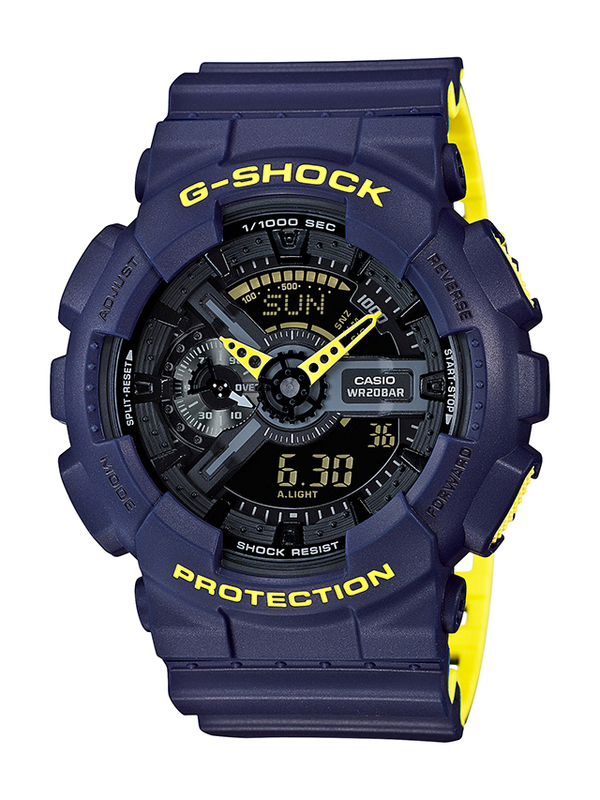 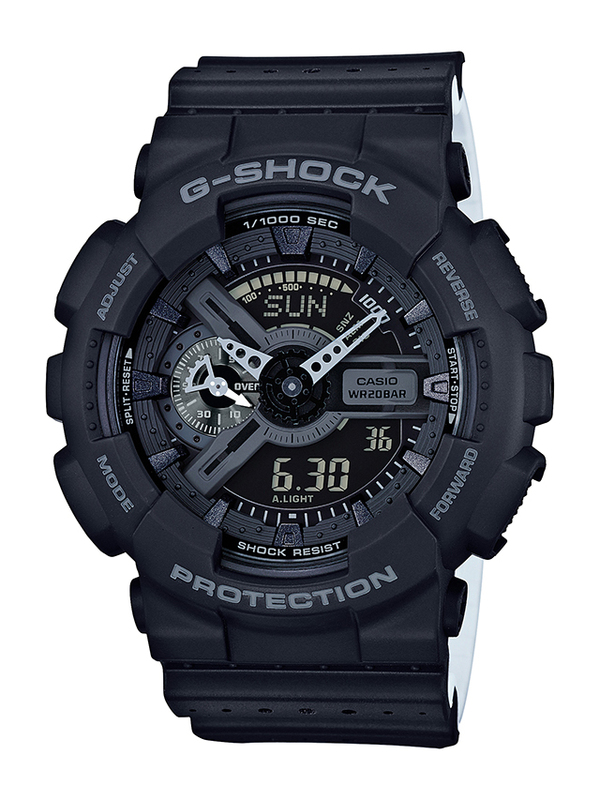 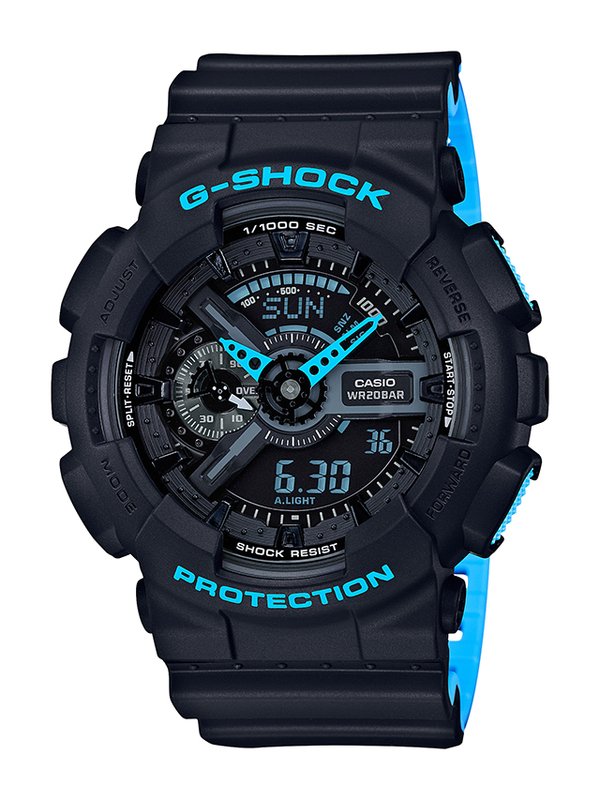 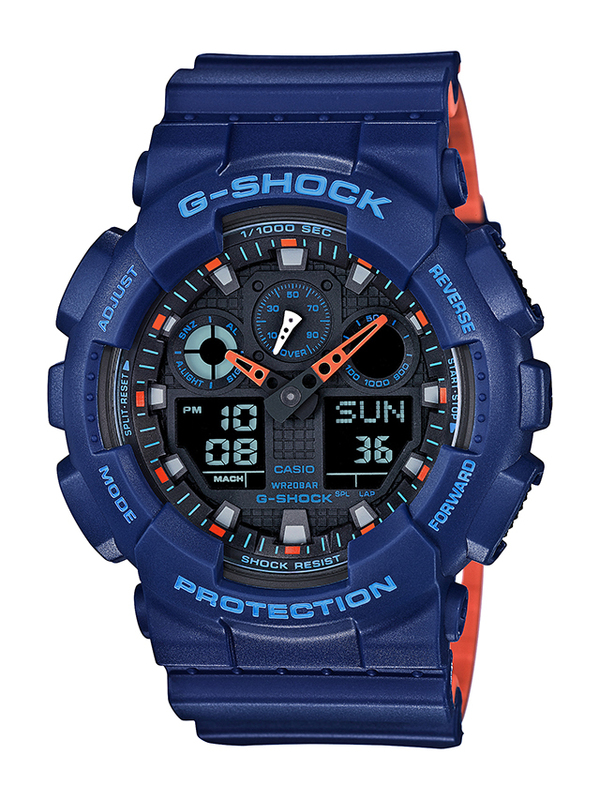 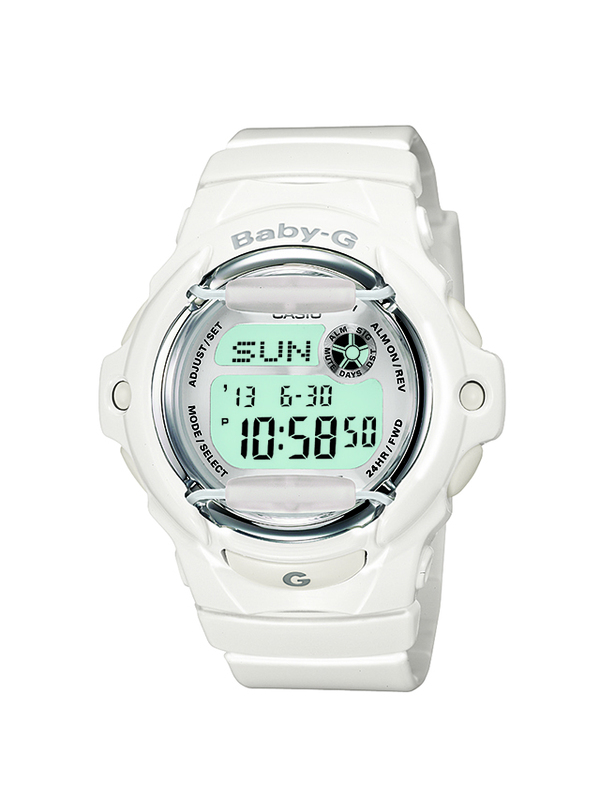 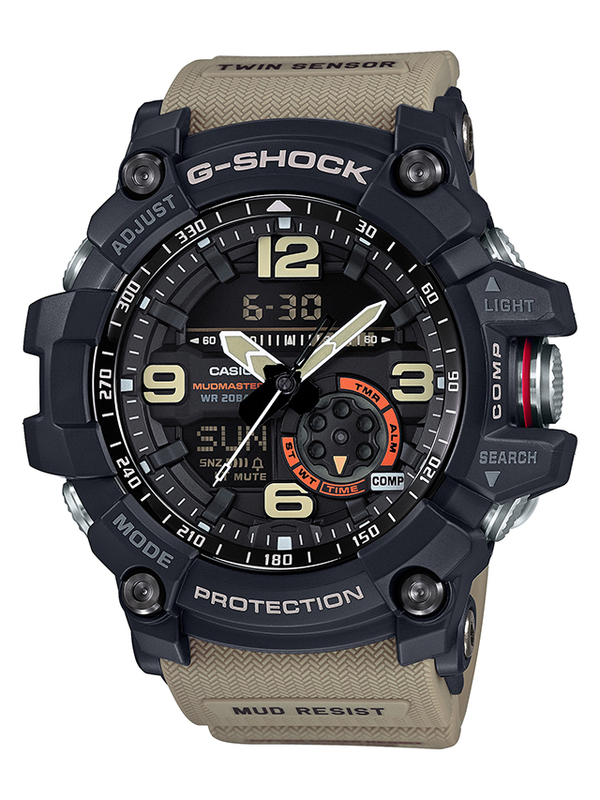 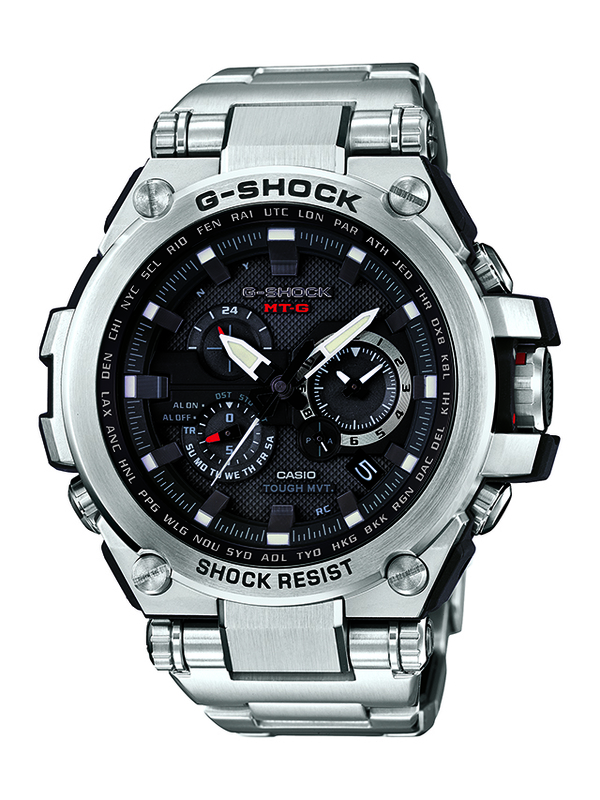 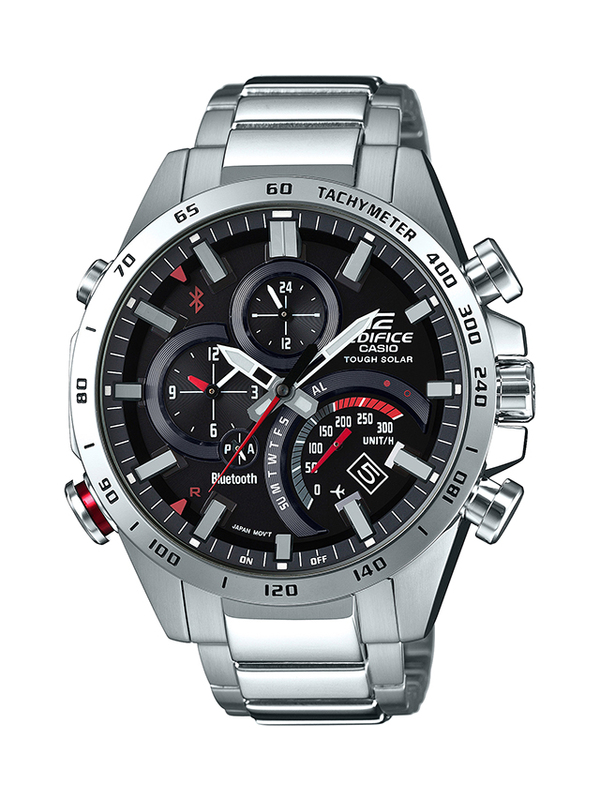 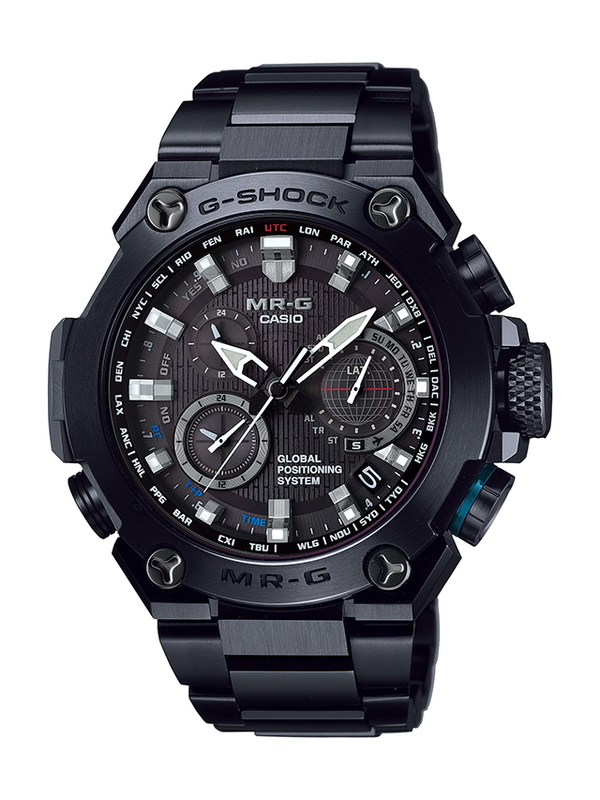 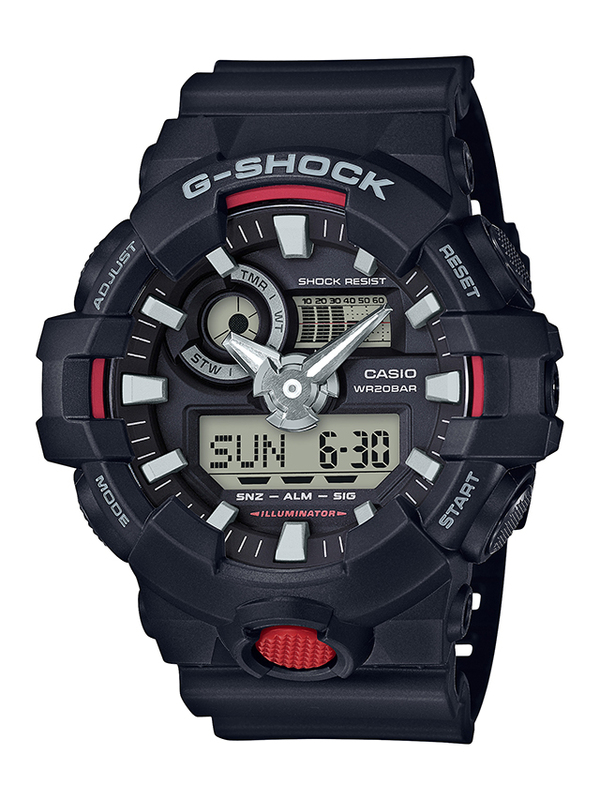 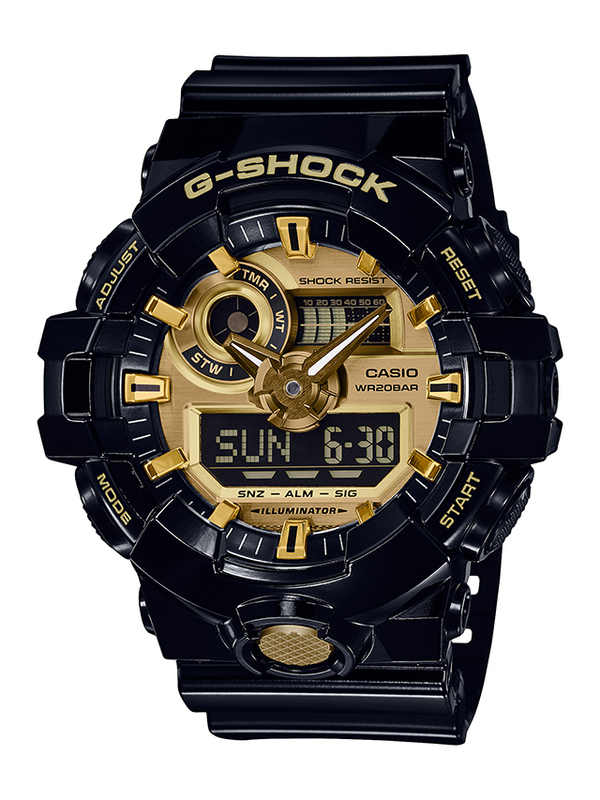 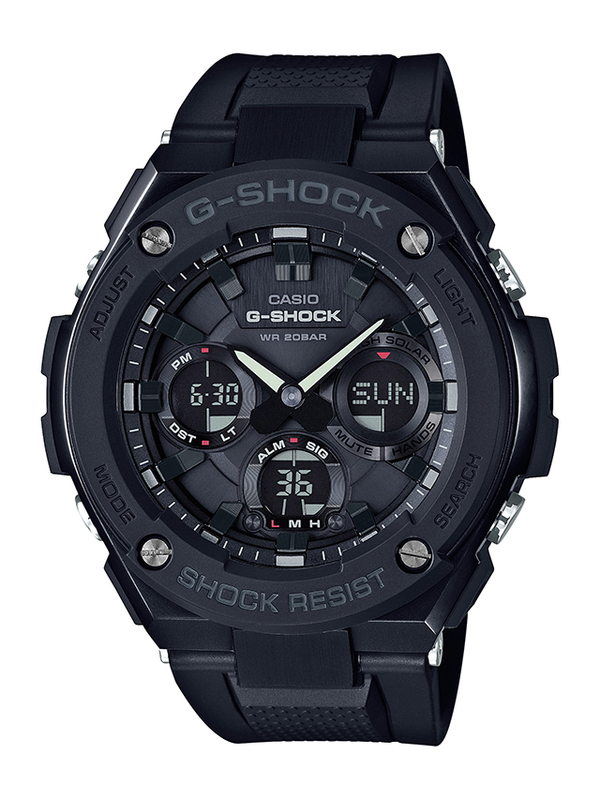 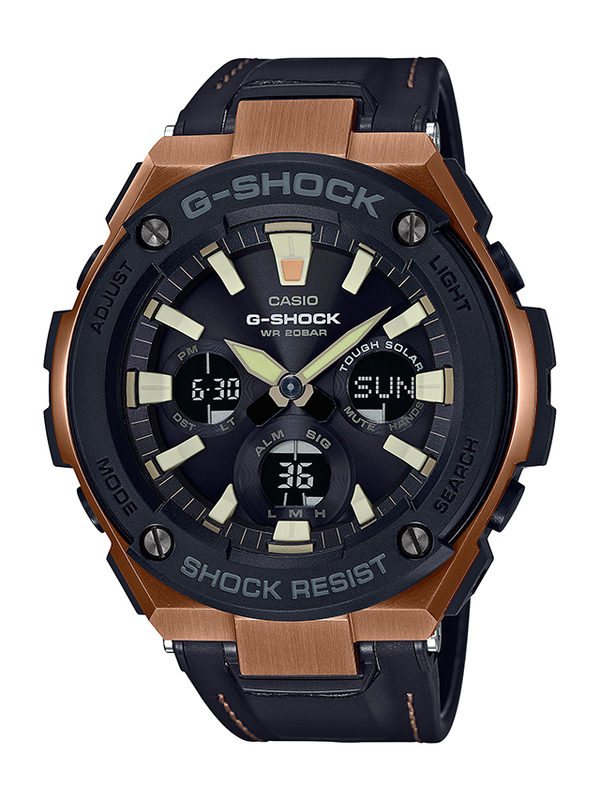 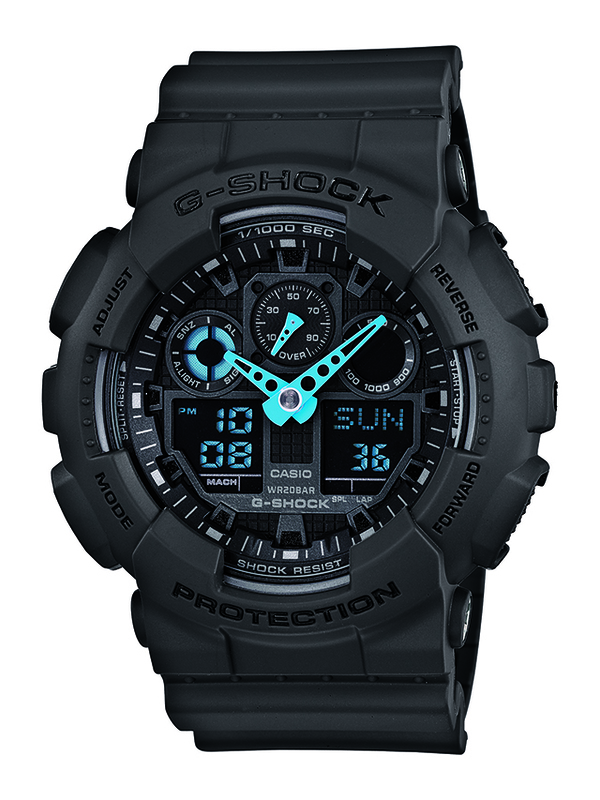 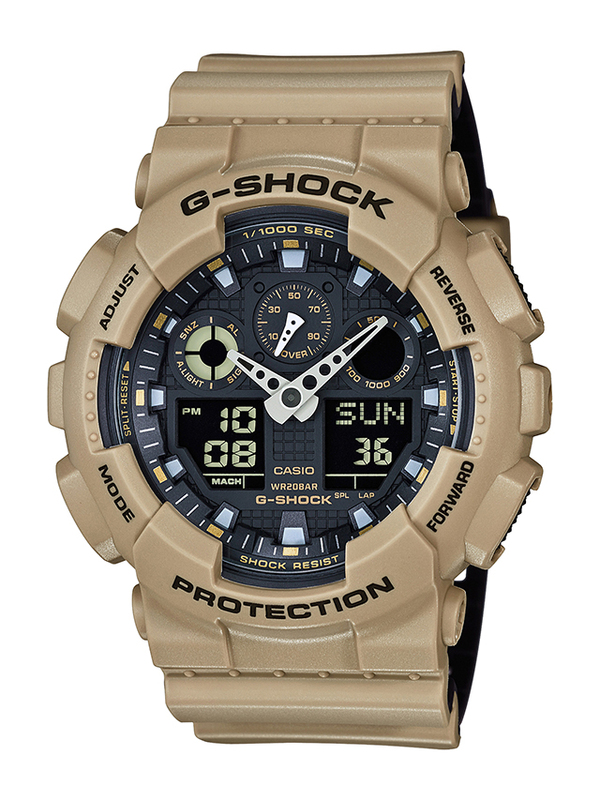 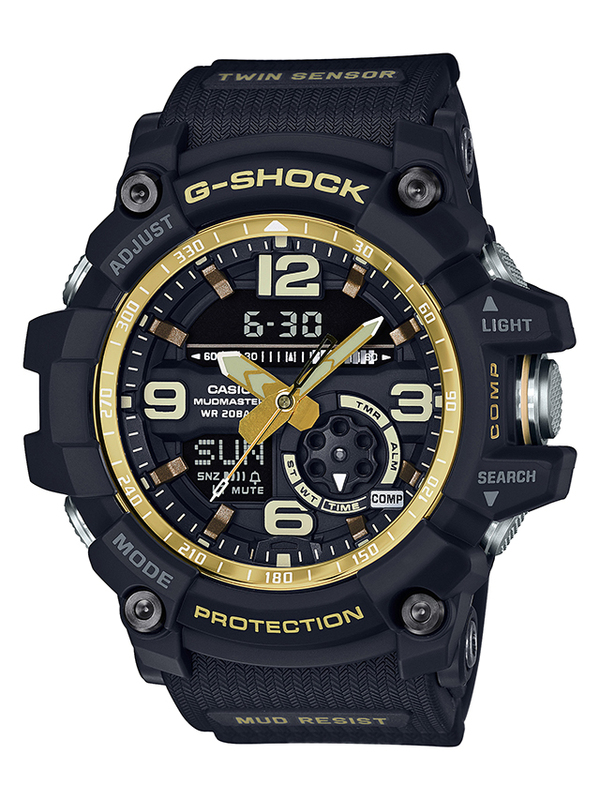 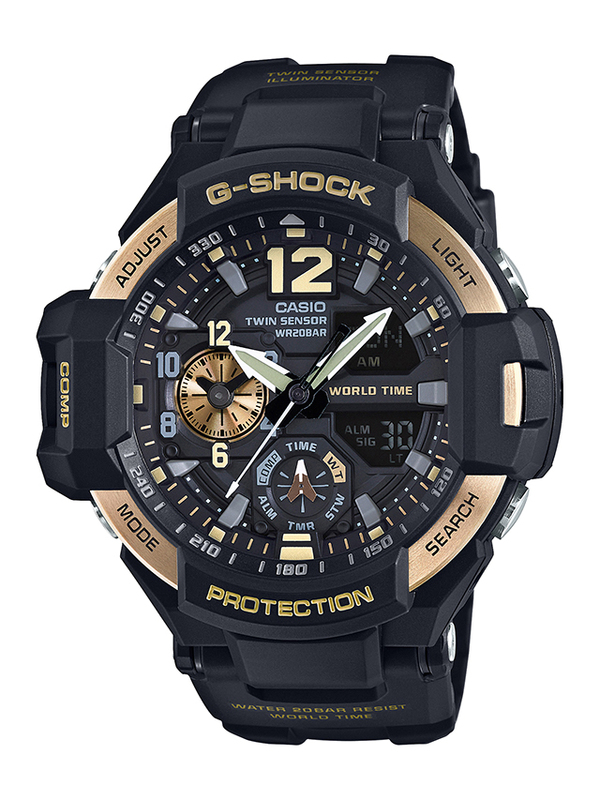 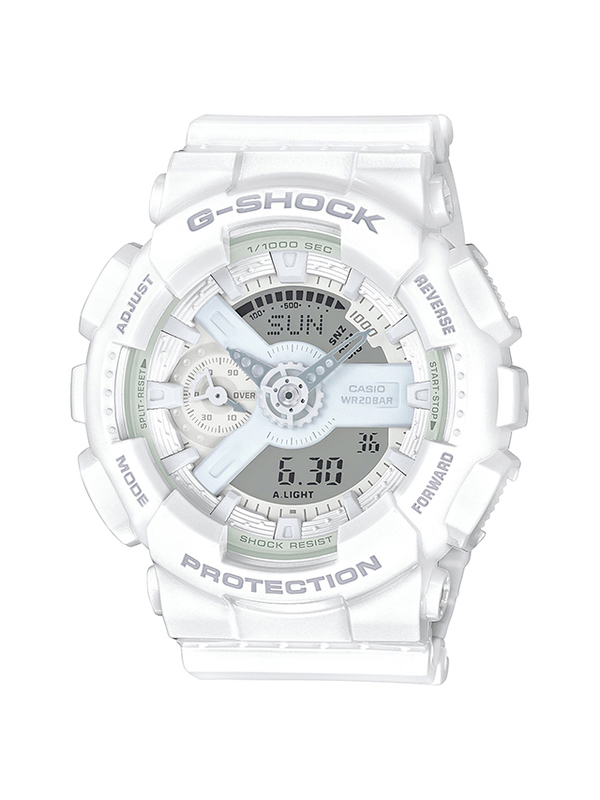 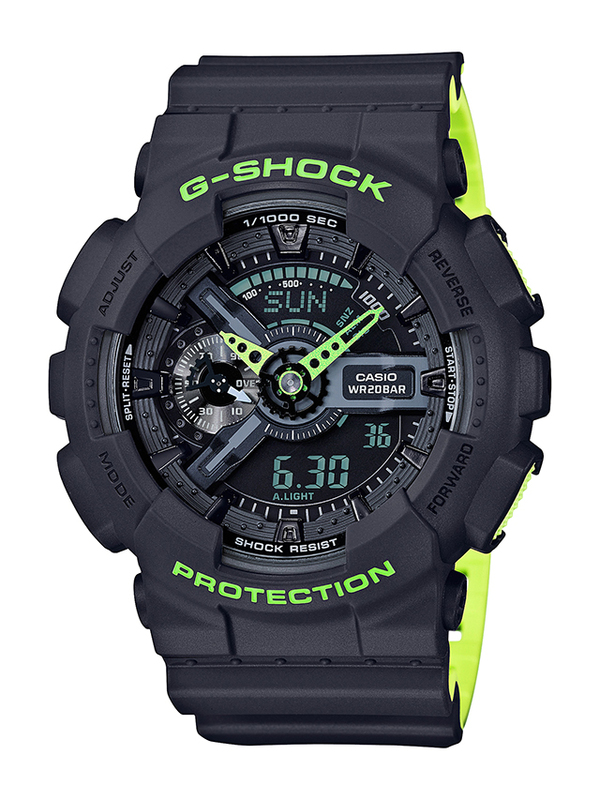 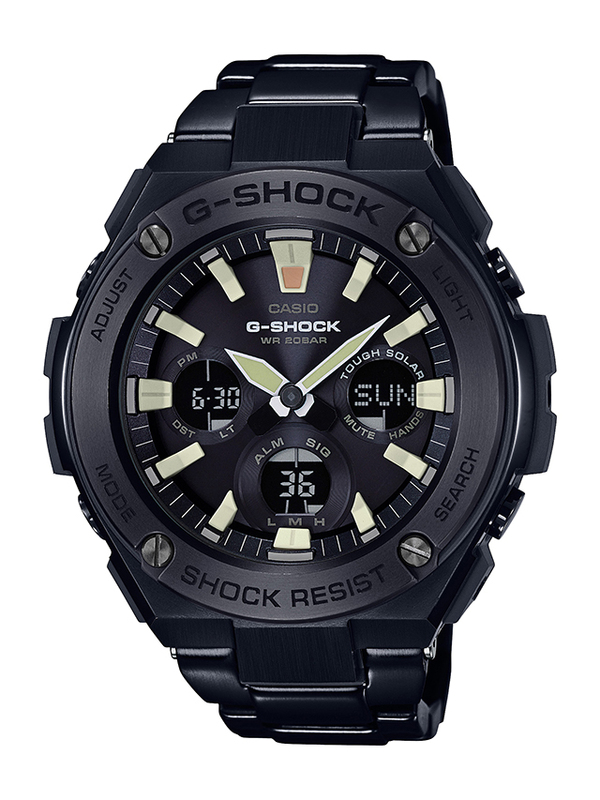 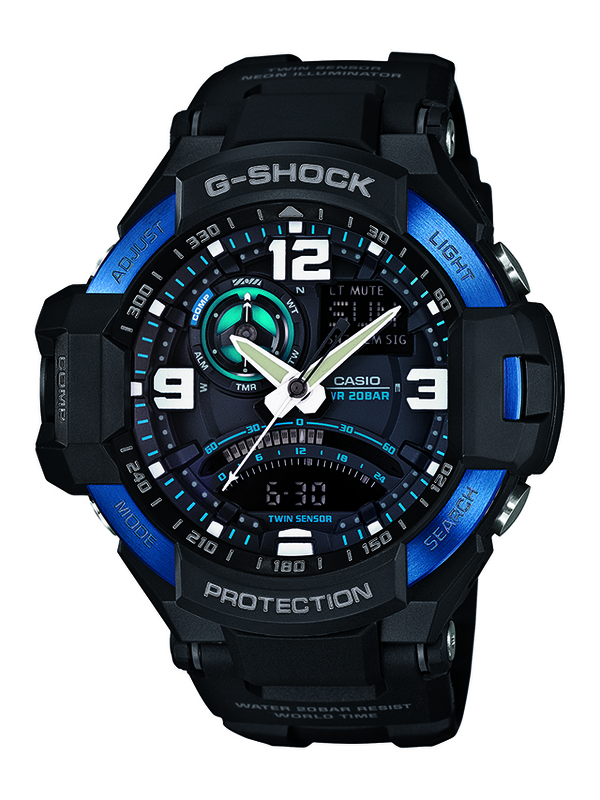 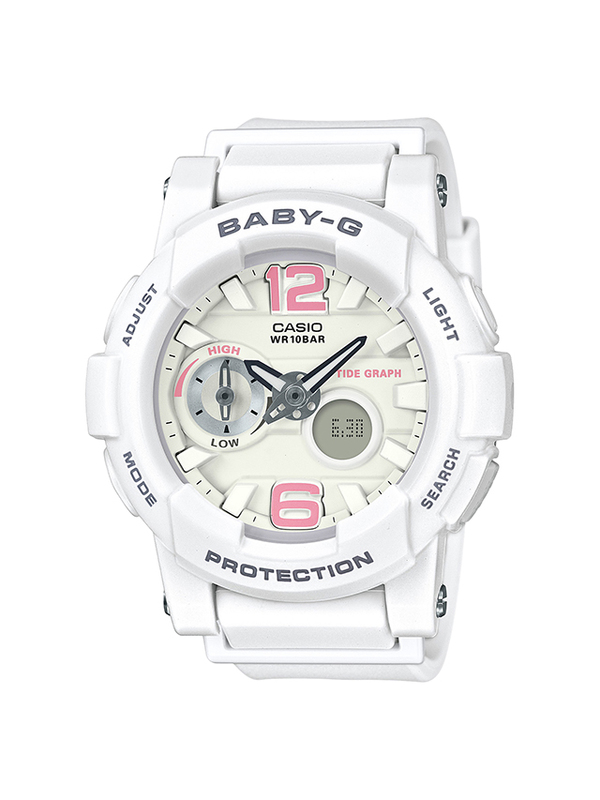 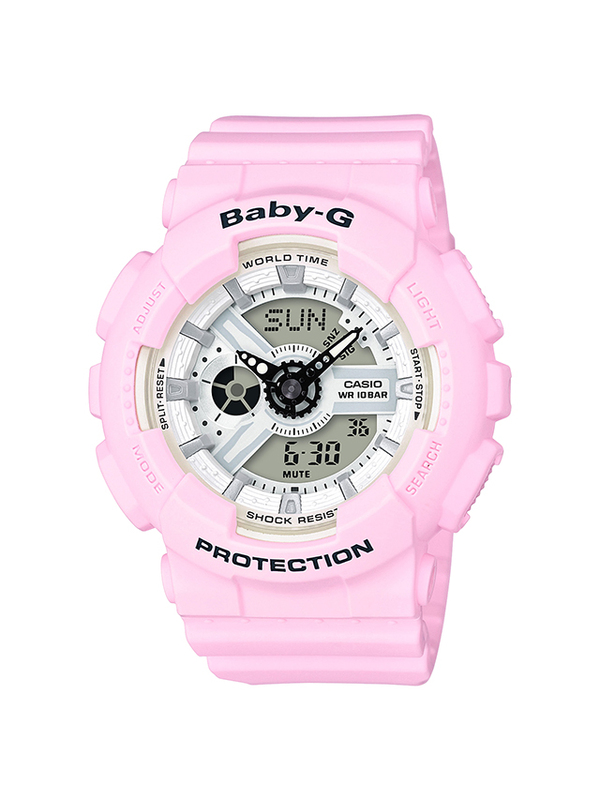 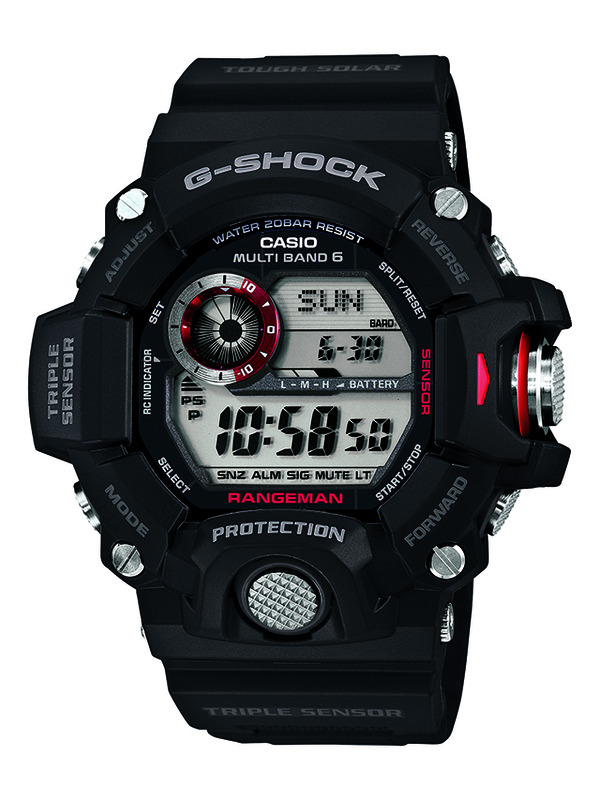 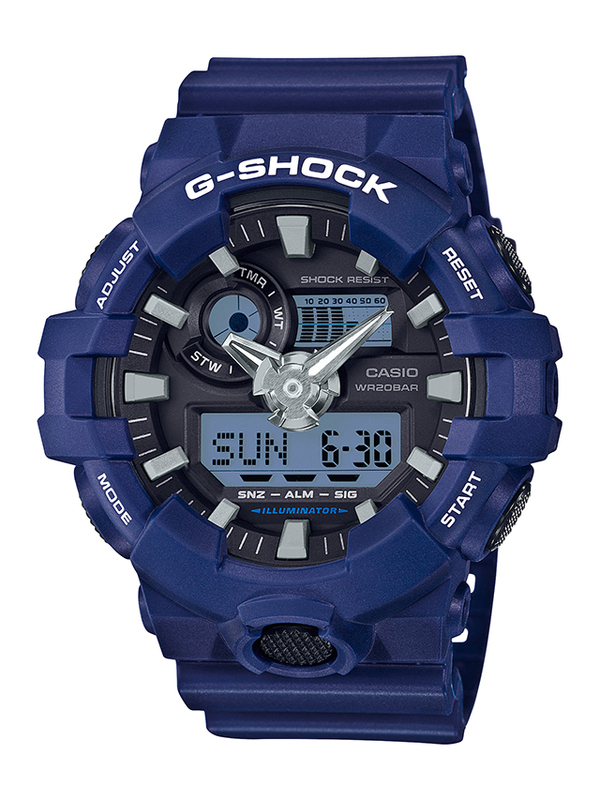 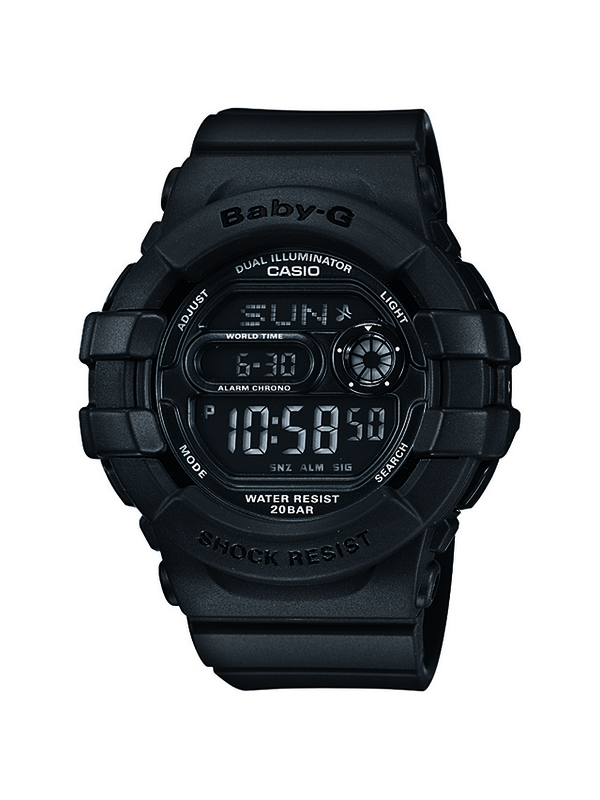 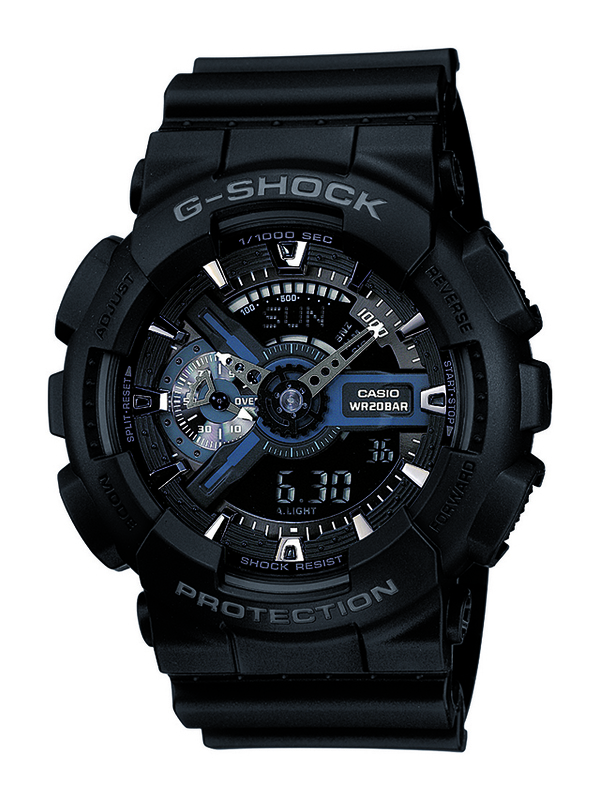 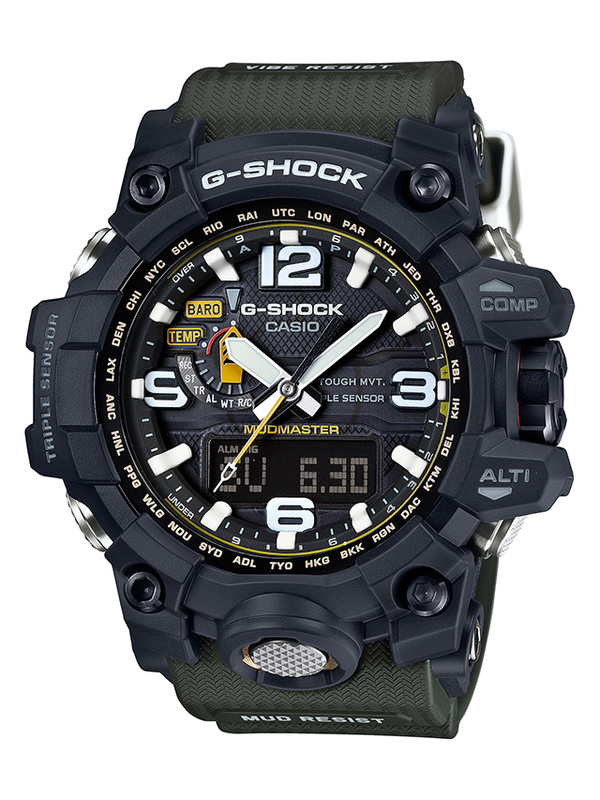 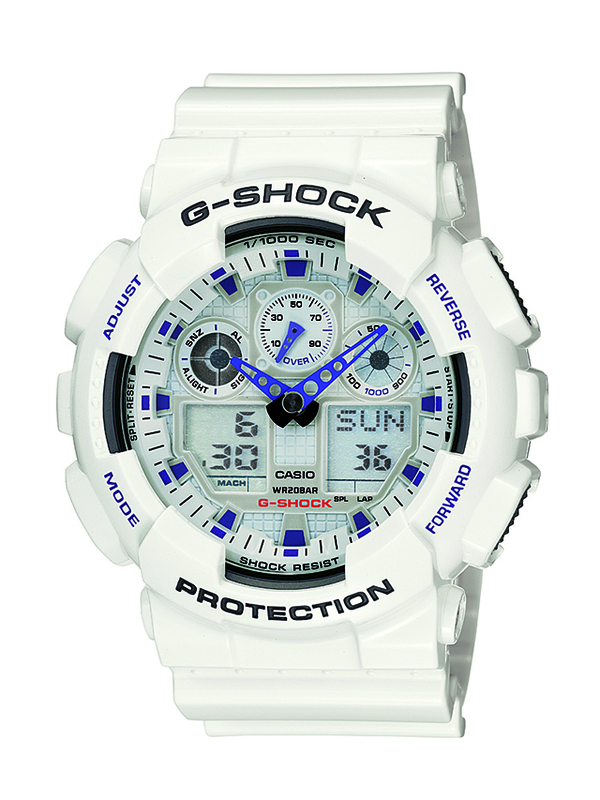 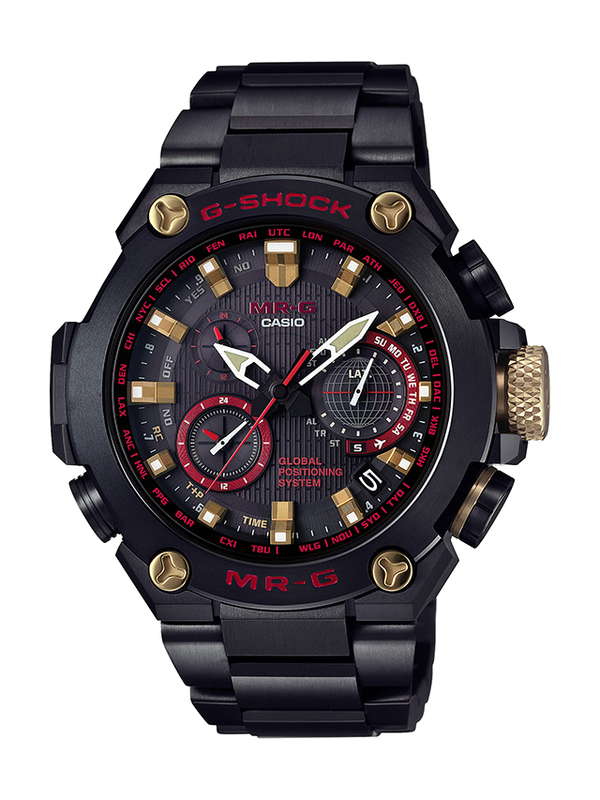 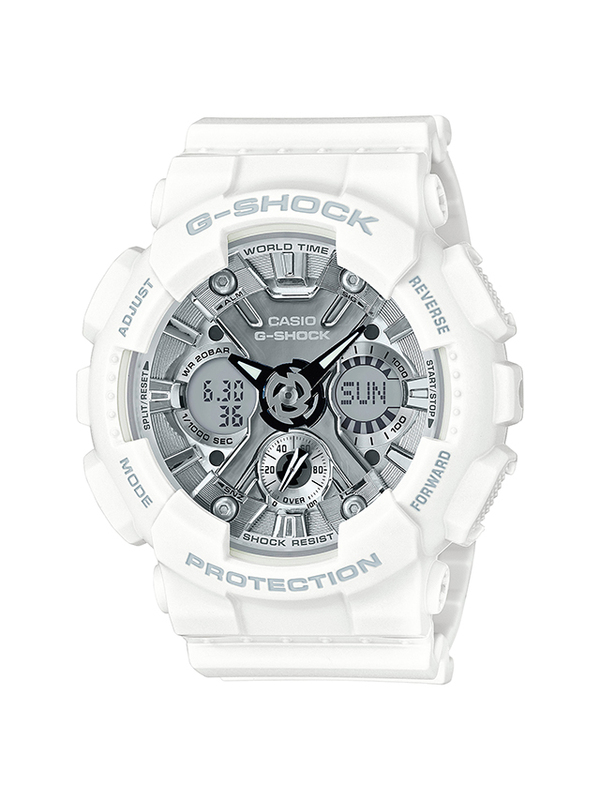 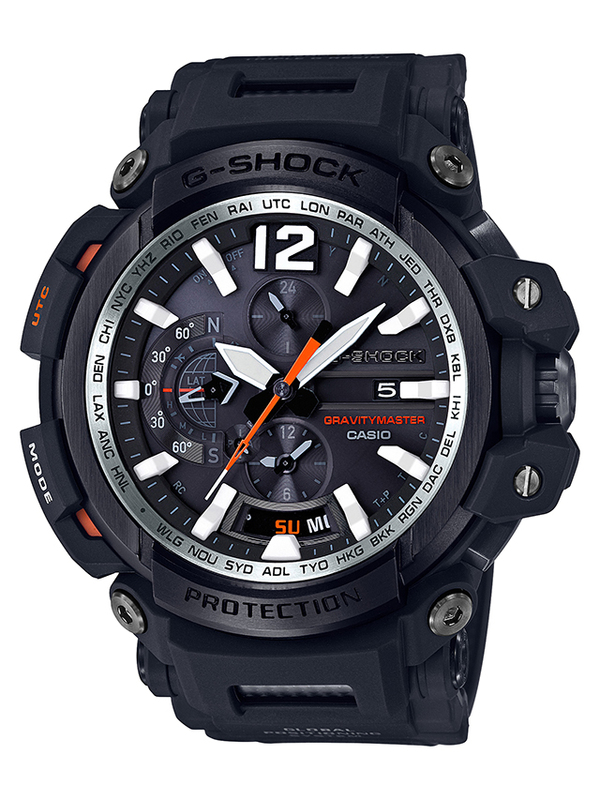 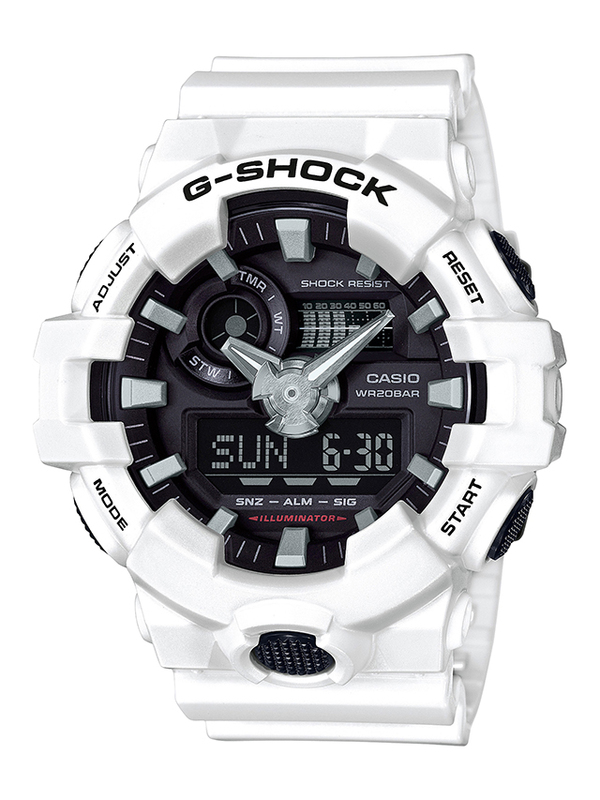 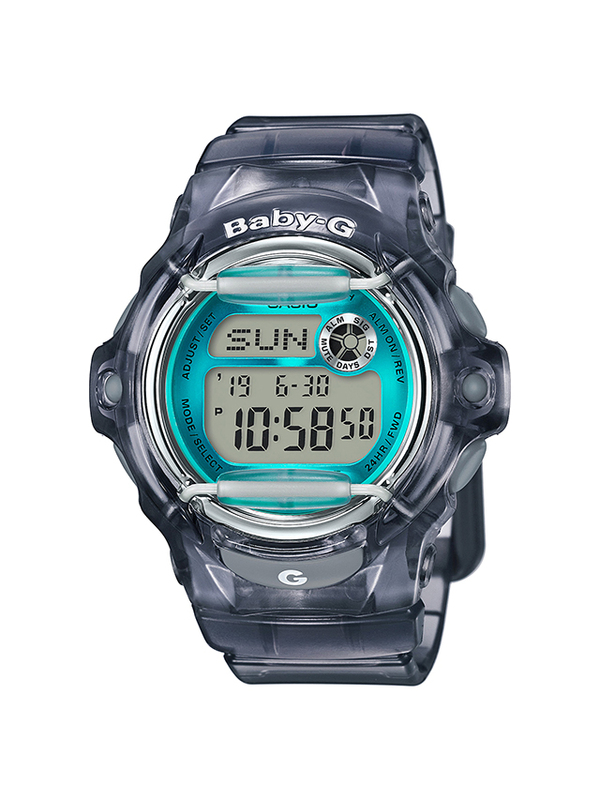 The G-SHOCK structure absorbs and repels strong shock and vibrations. 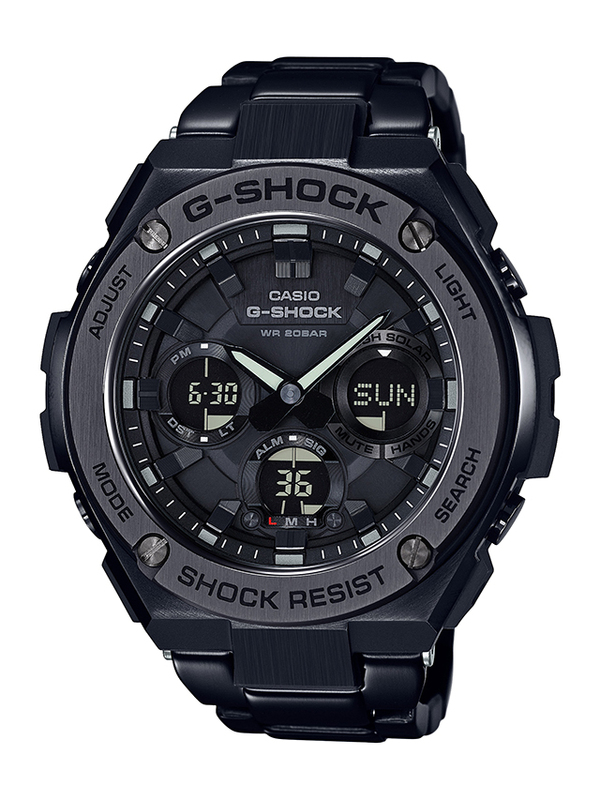 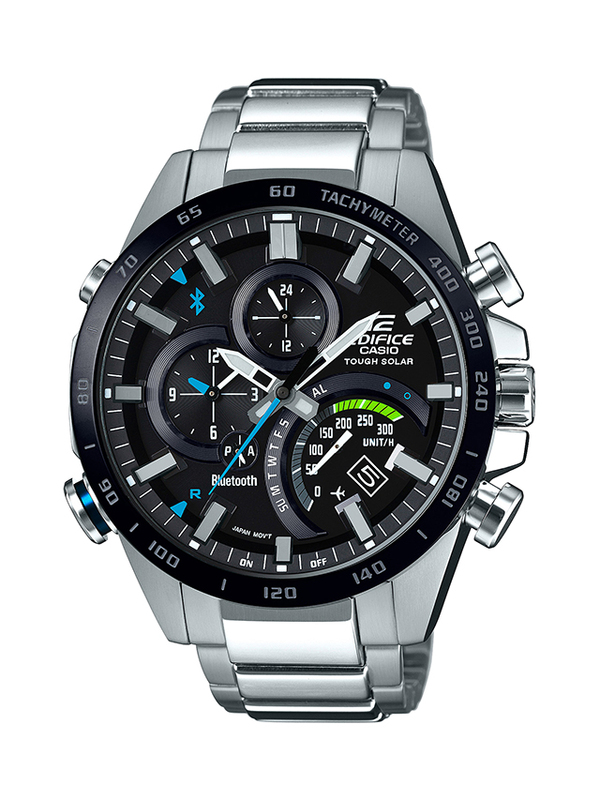 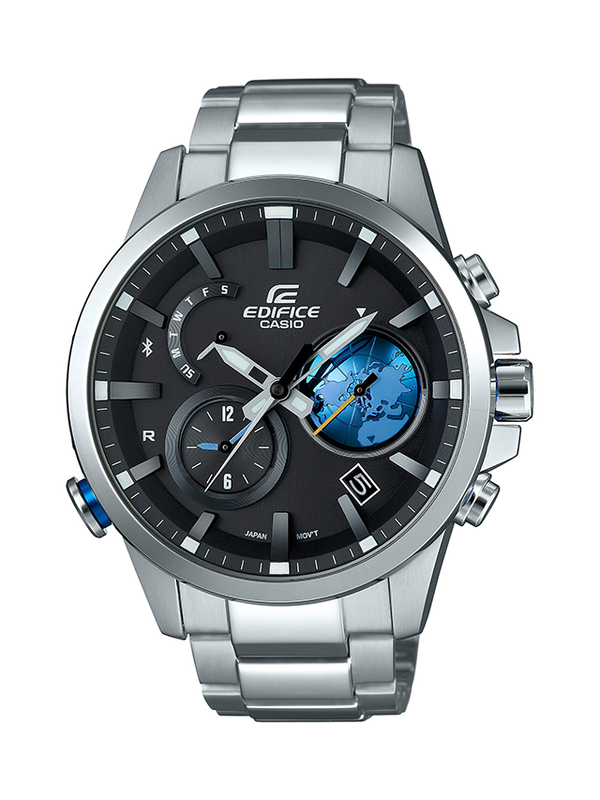 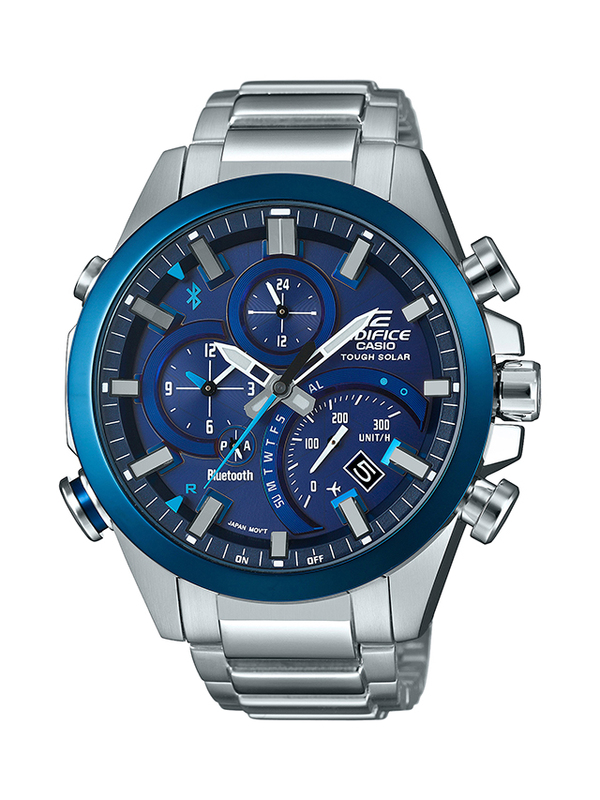 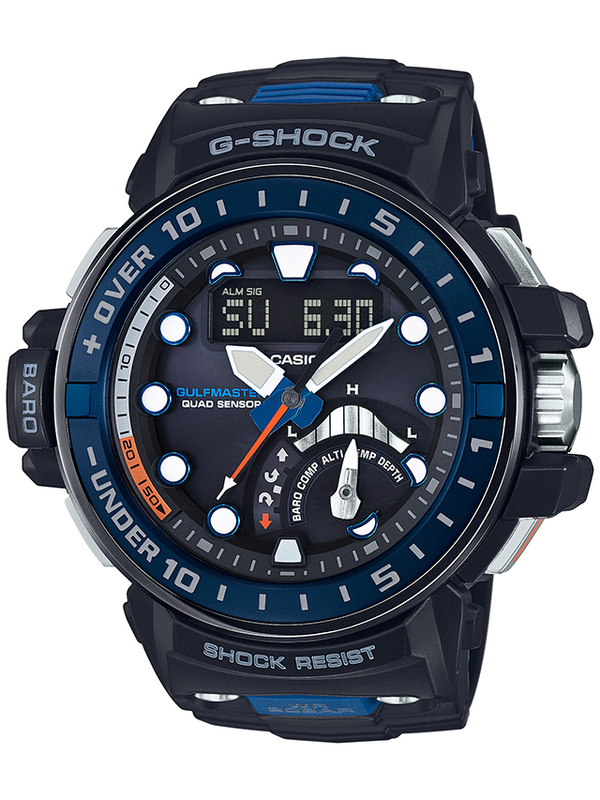 This core G-Shock technology continues its perpetual evolution. 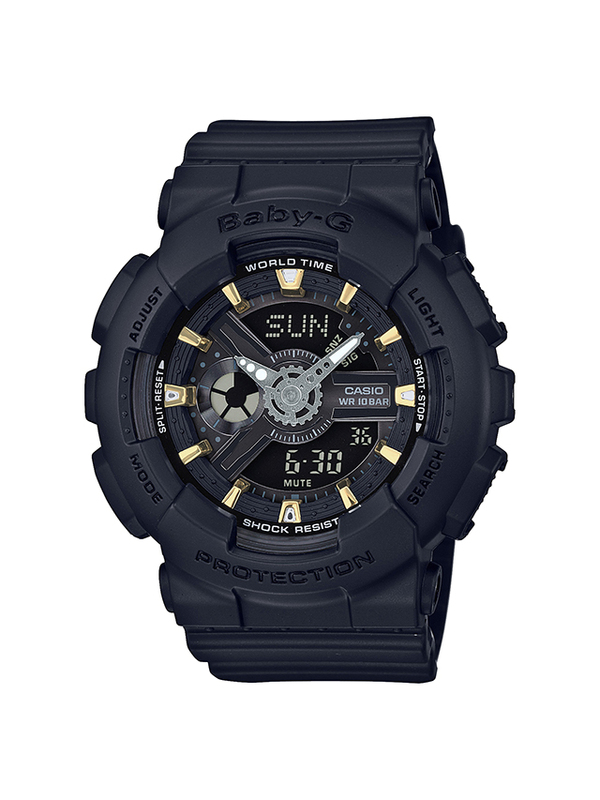 Knobby protective forms are adopted for the case and bezel design. 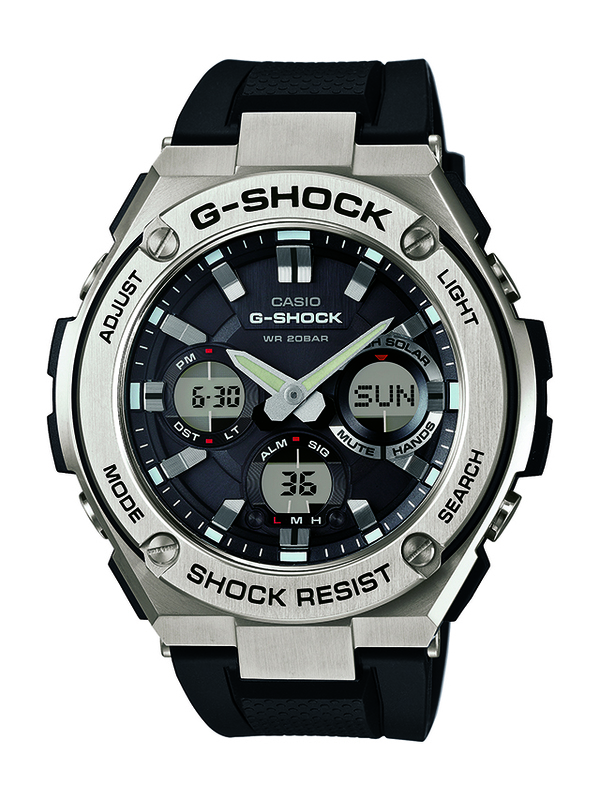 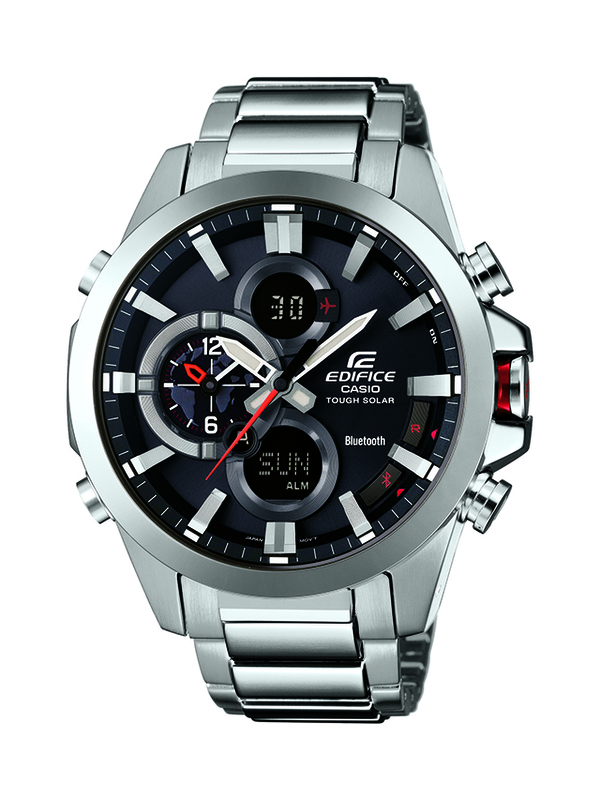 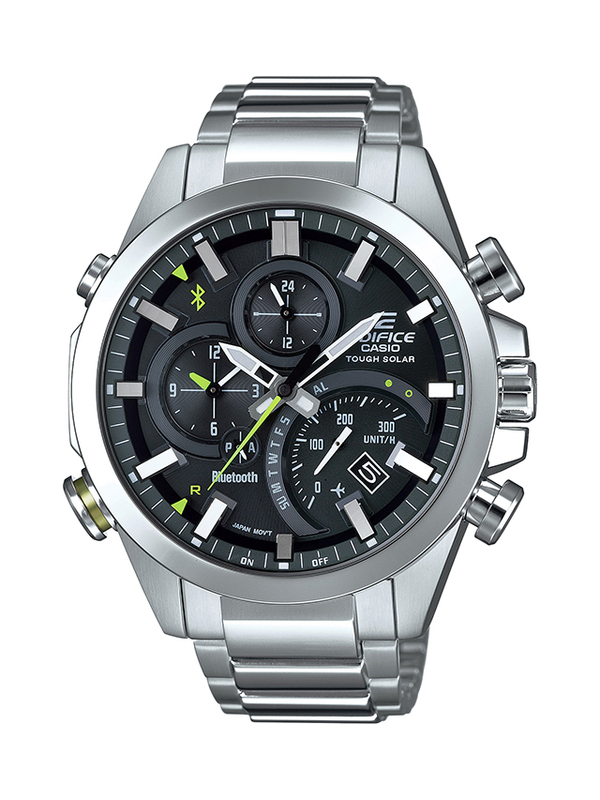 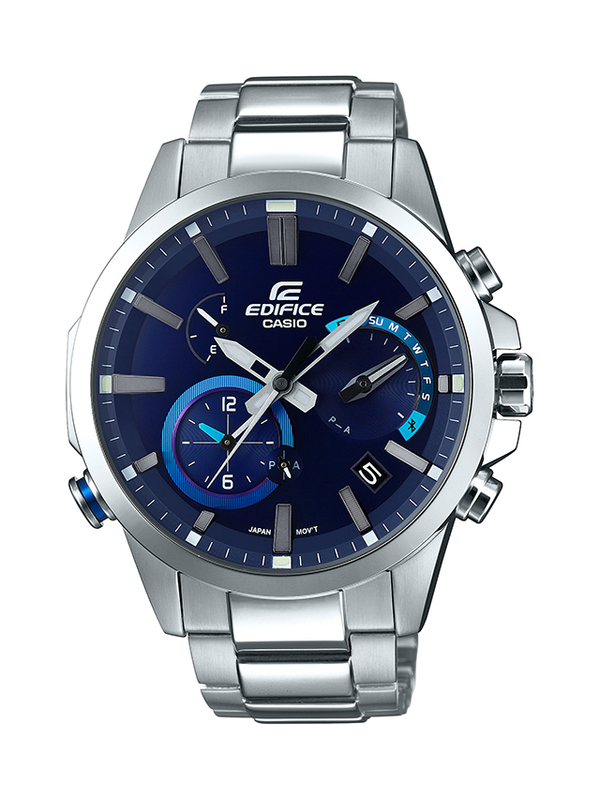 These projections guard the watch against impact such as dropping shocks from any directions. 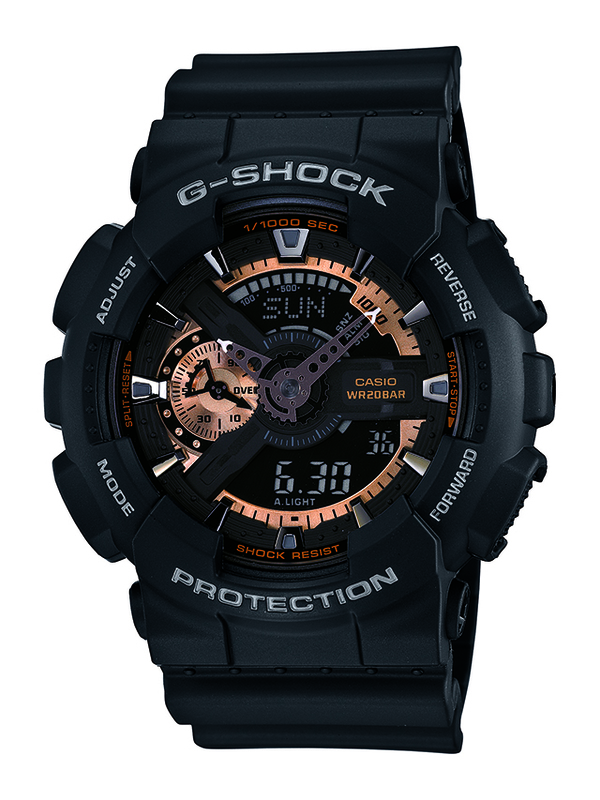 They prevent damage by easing shocks to the buttons, which are connected directly with the module, as well to the glass surface and case back.